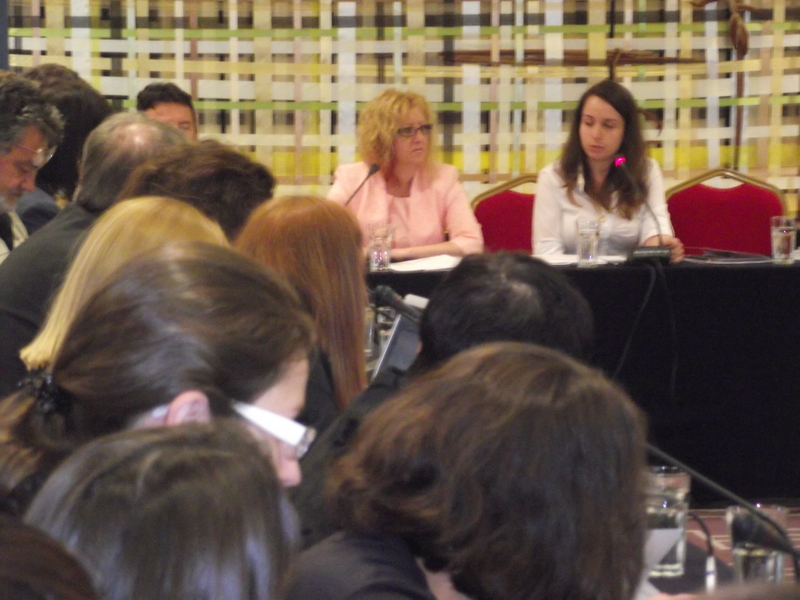 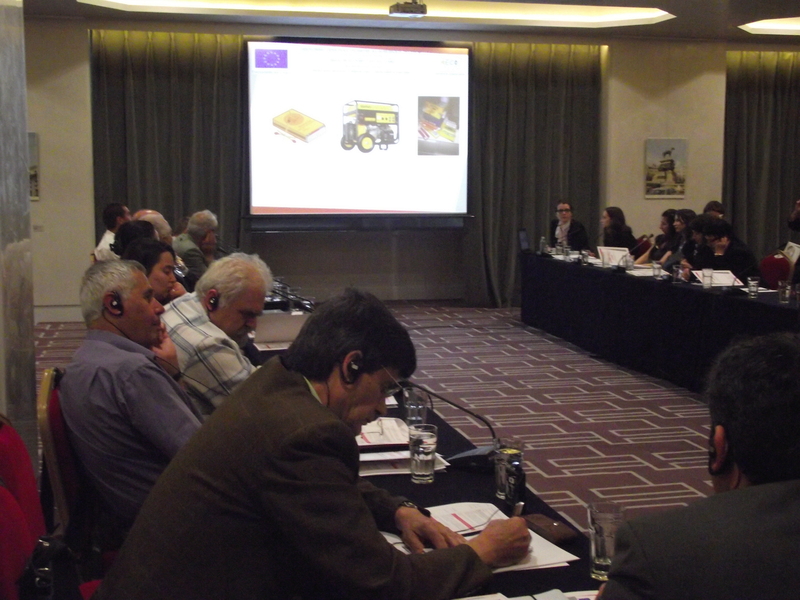 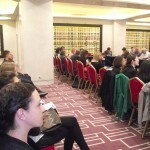 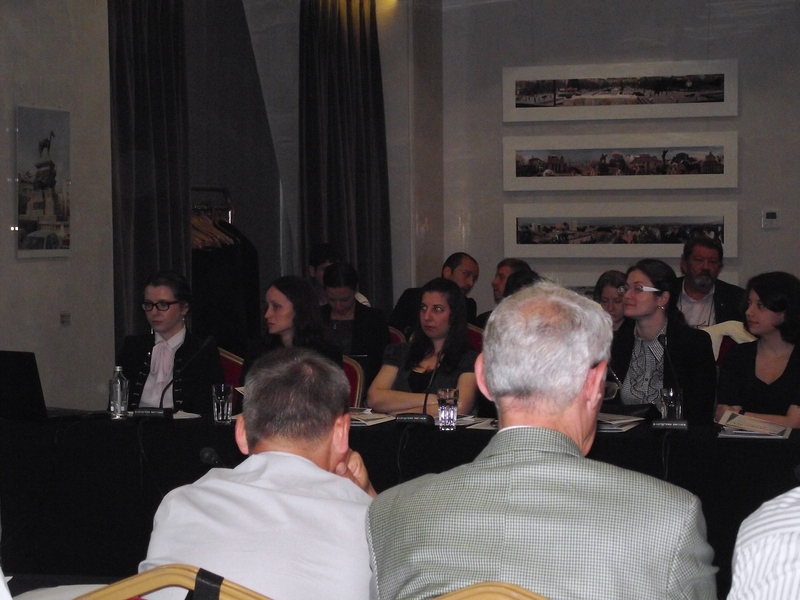 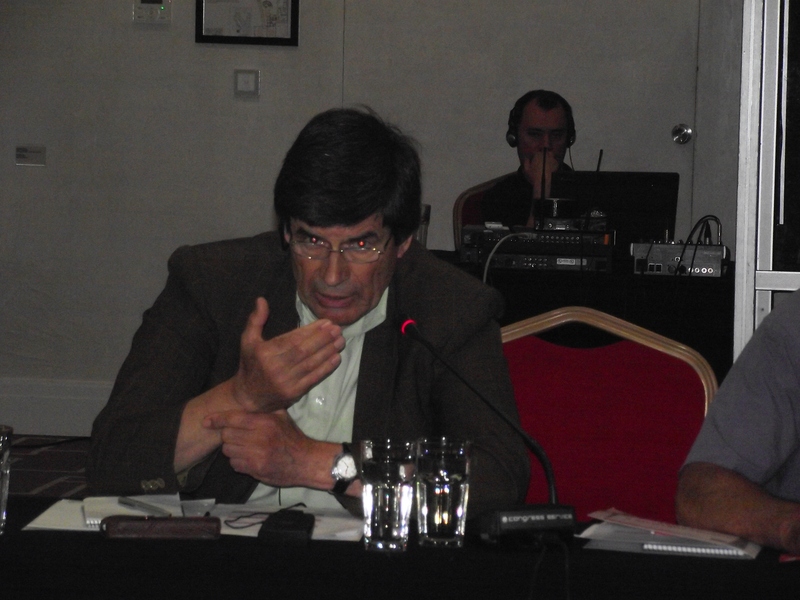 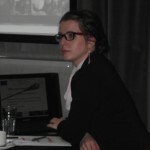 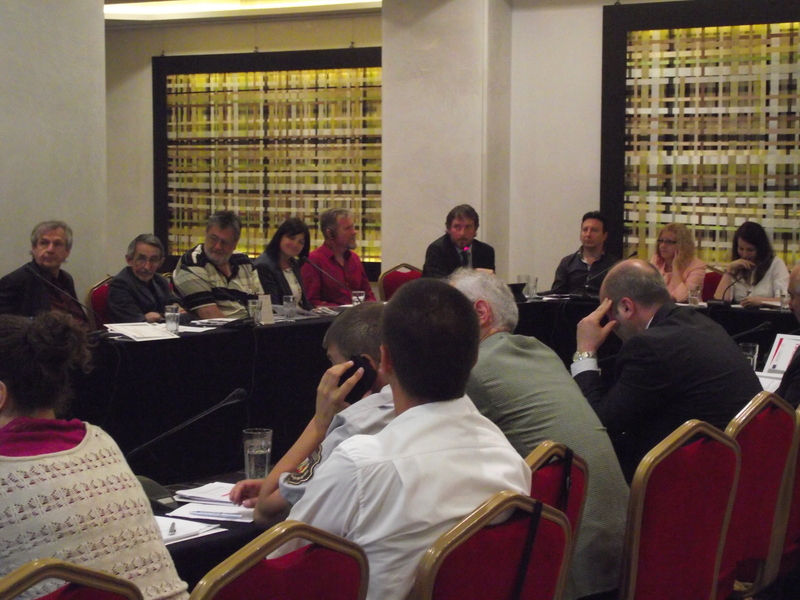 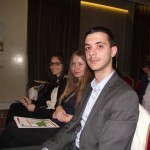 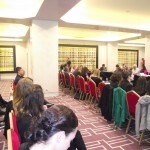 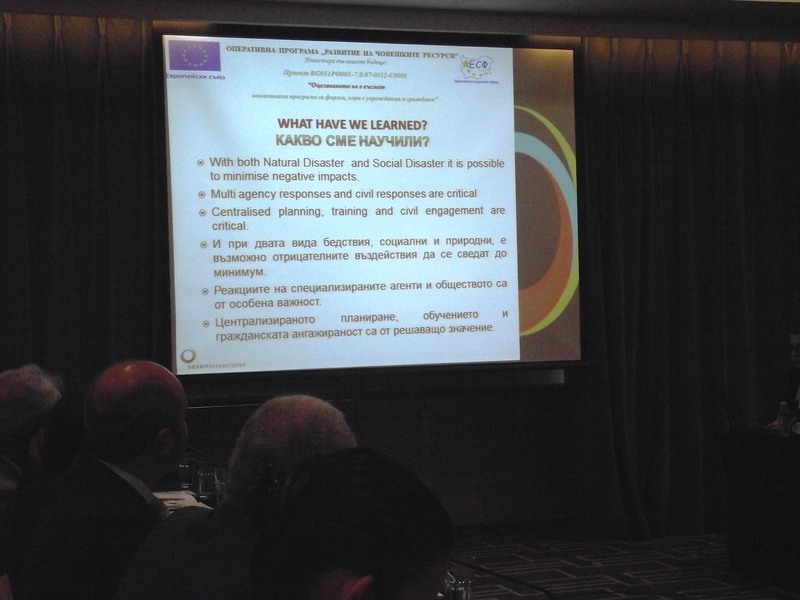 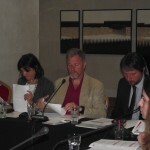 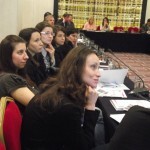 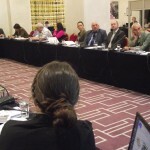 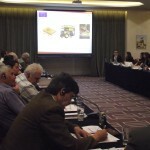 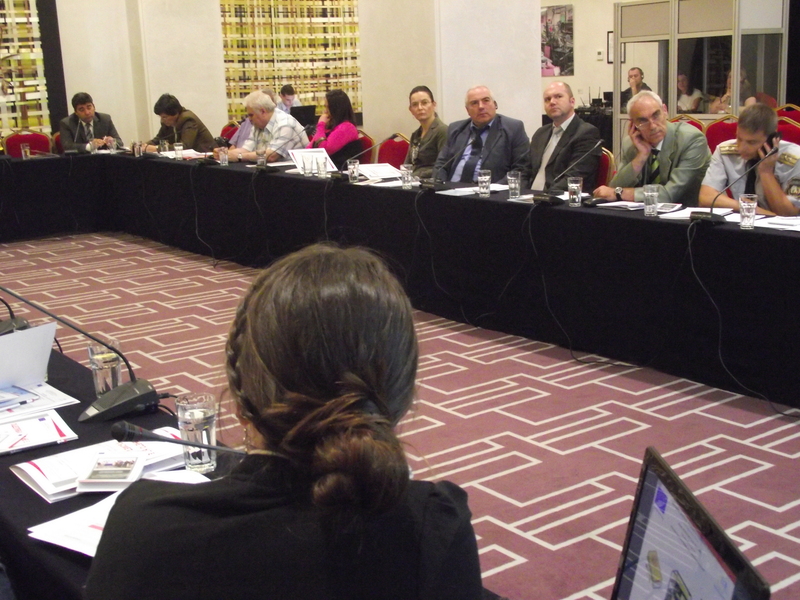 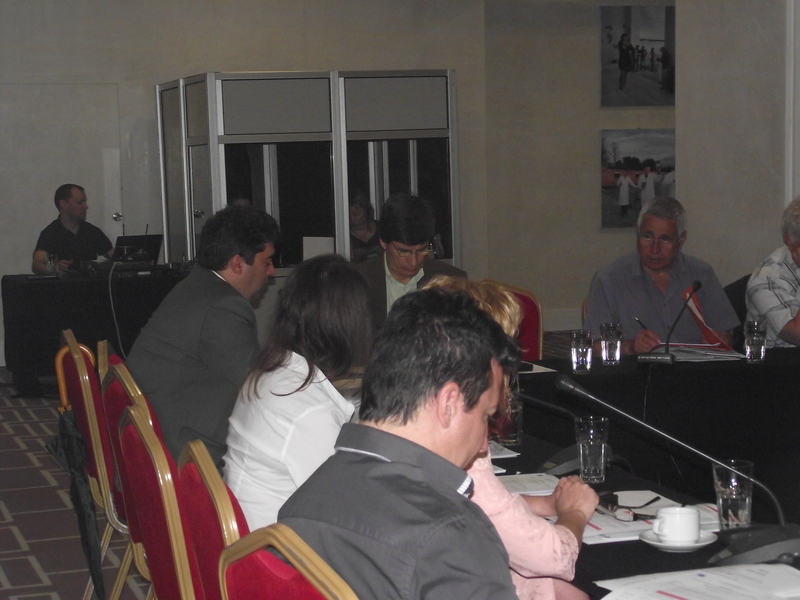 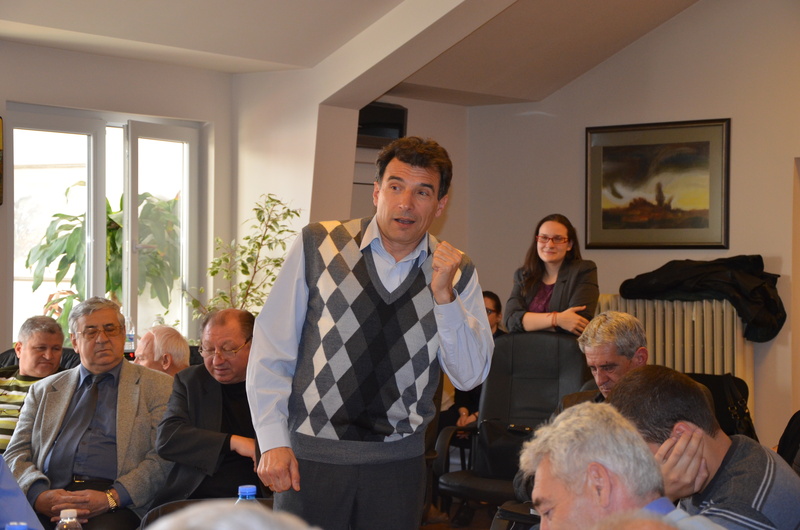 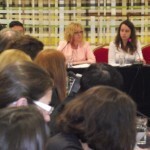 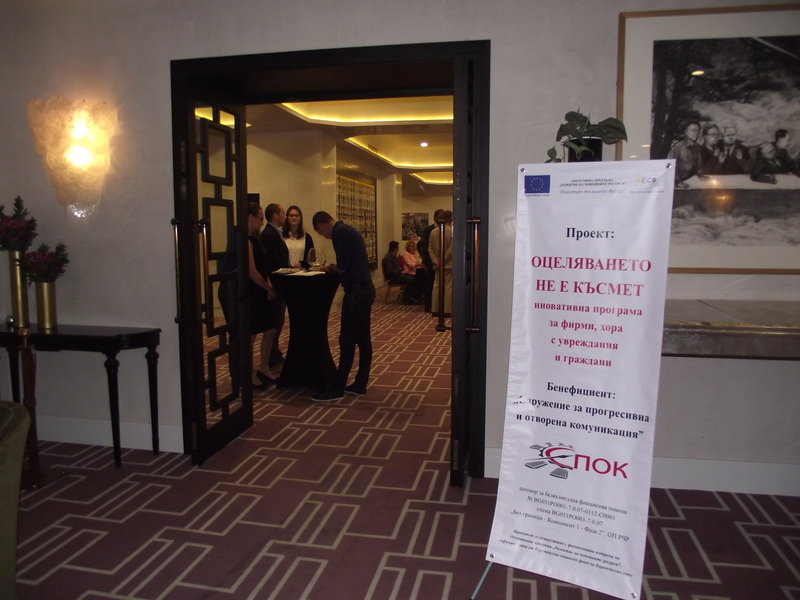 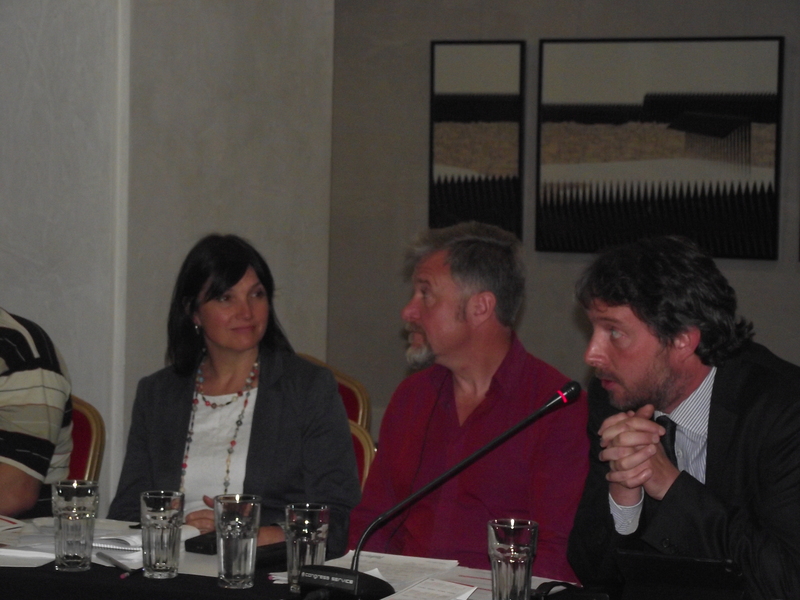 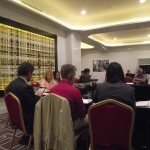 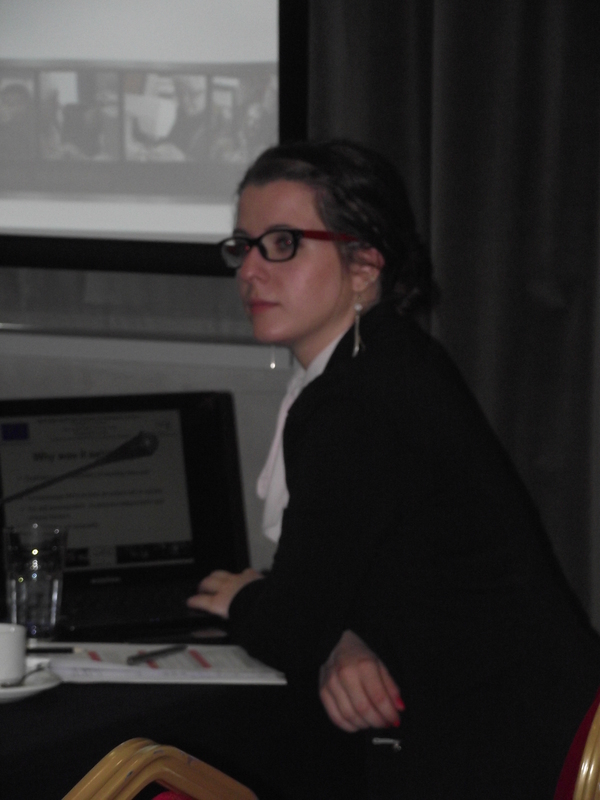 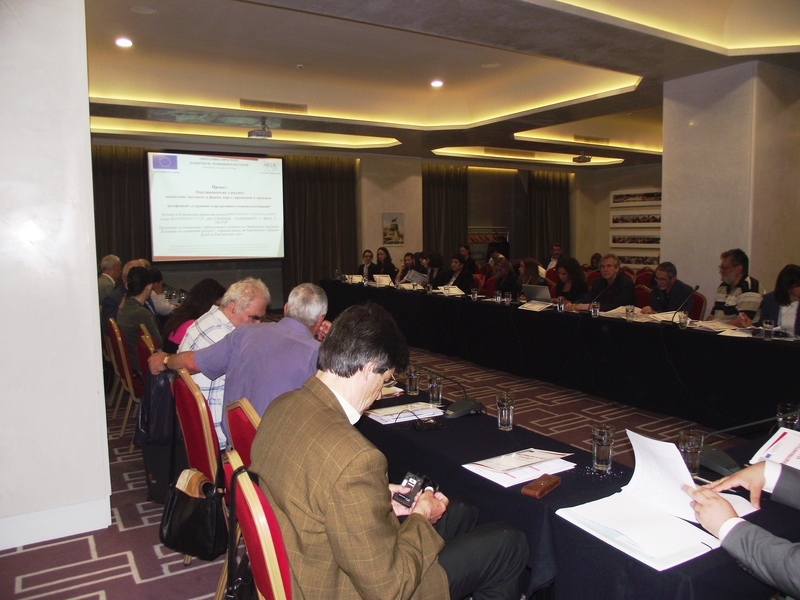 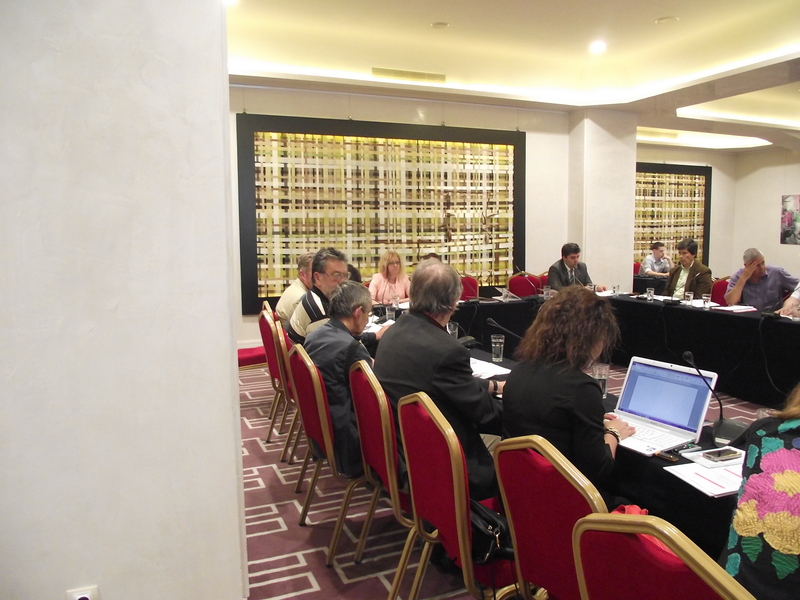 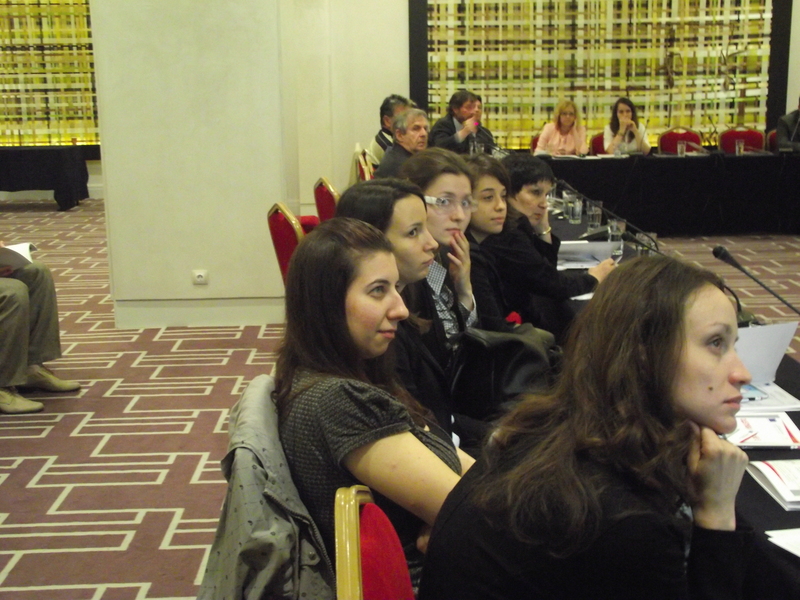 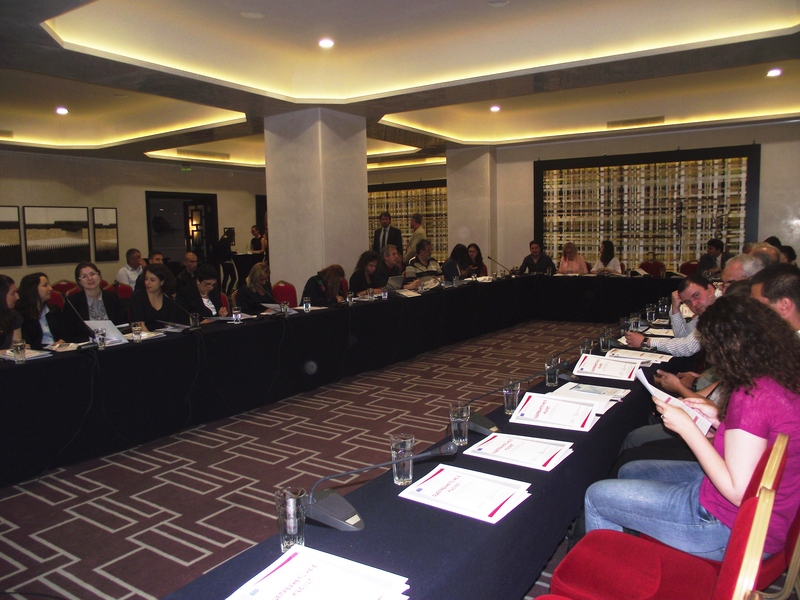 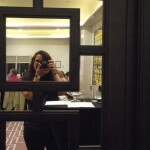 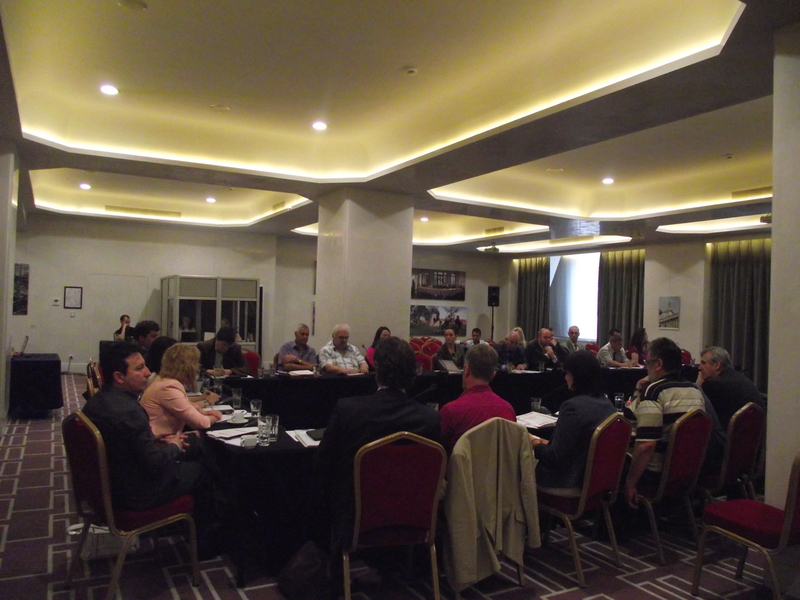 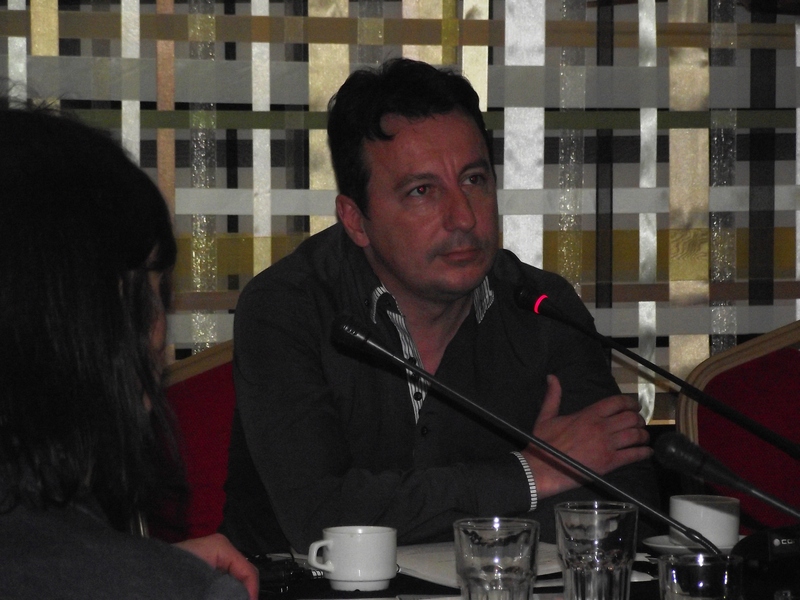 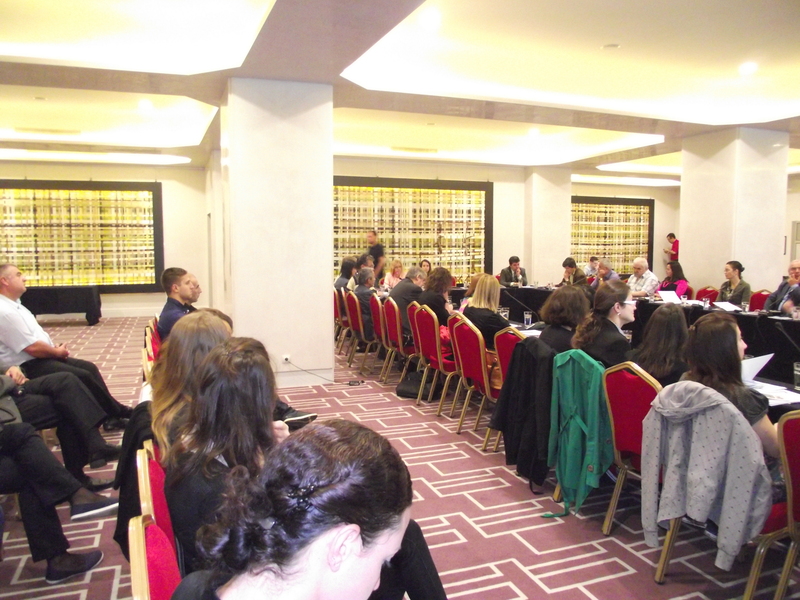 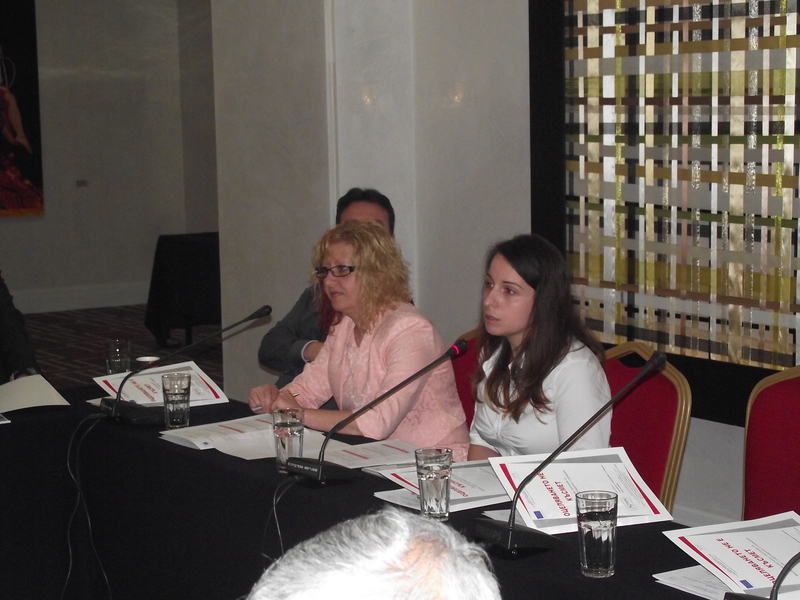 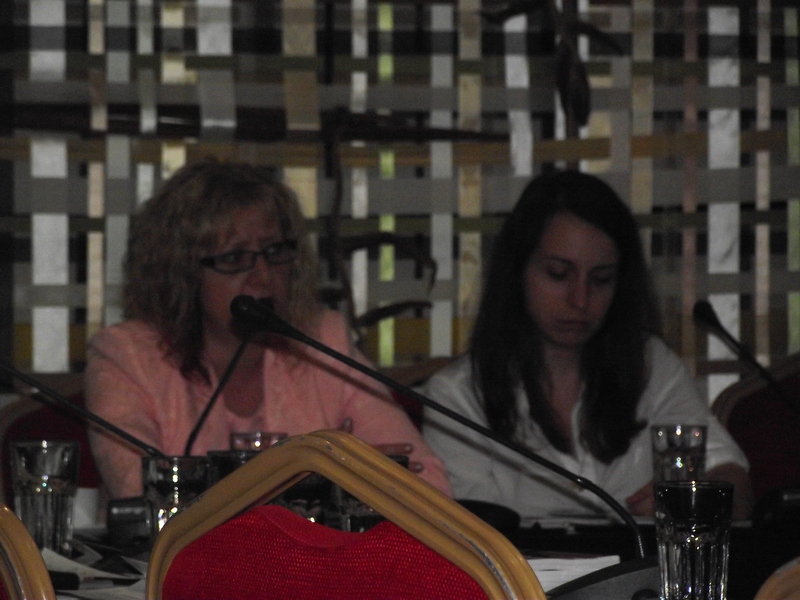 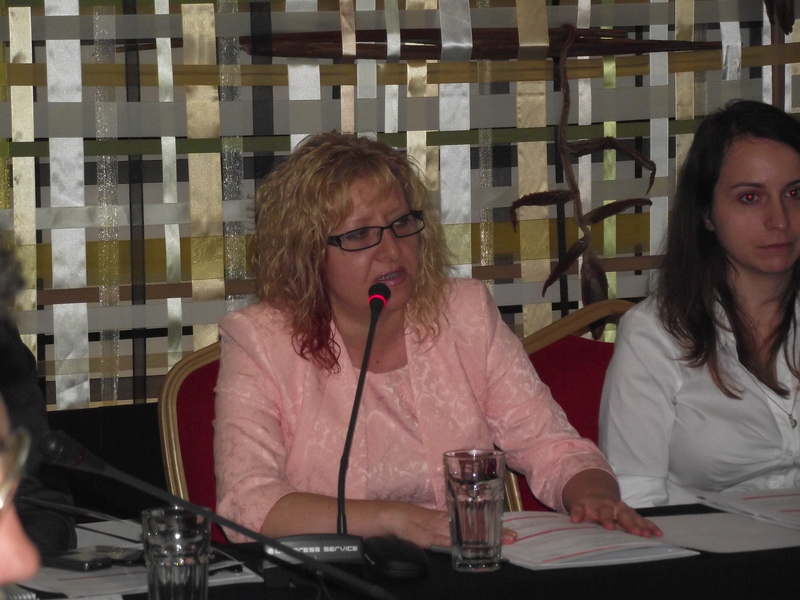 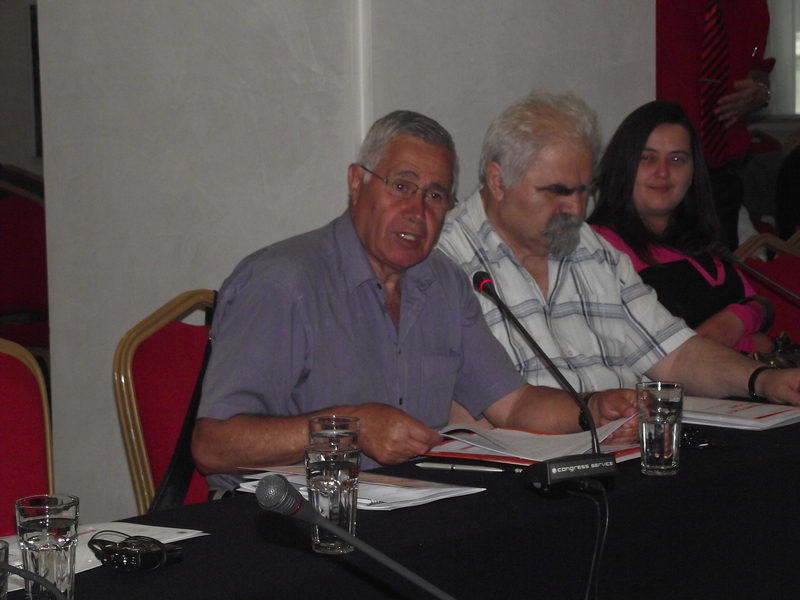 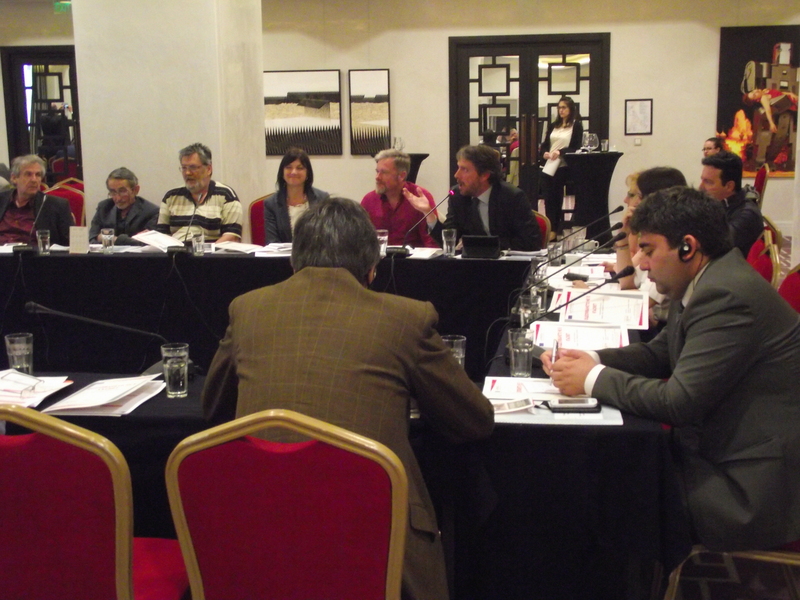 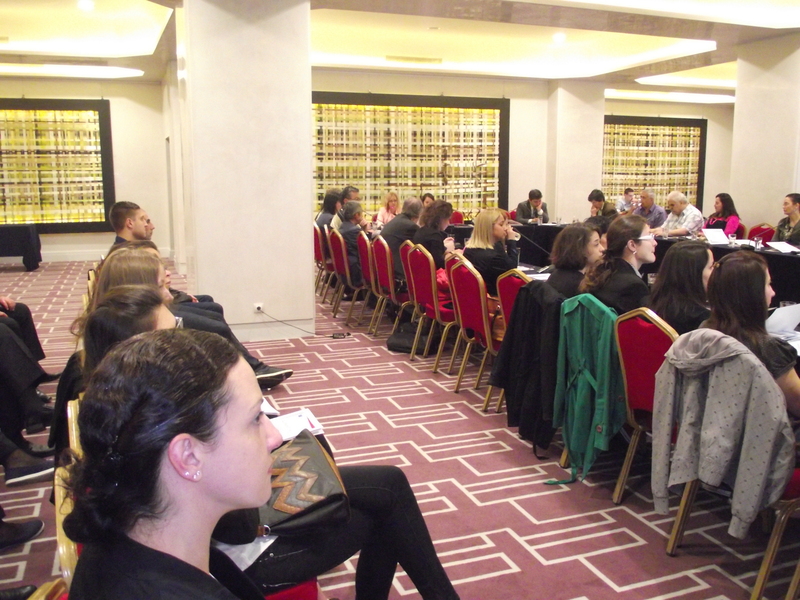 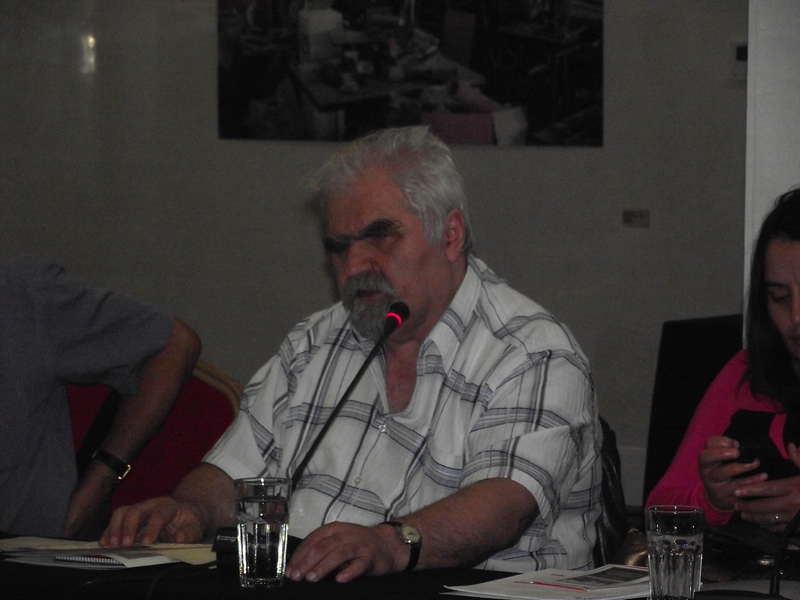 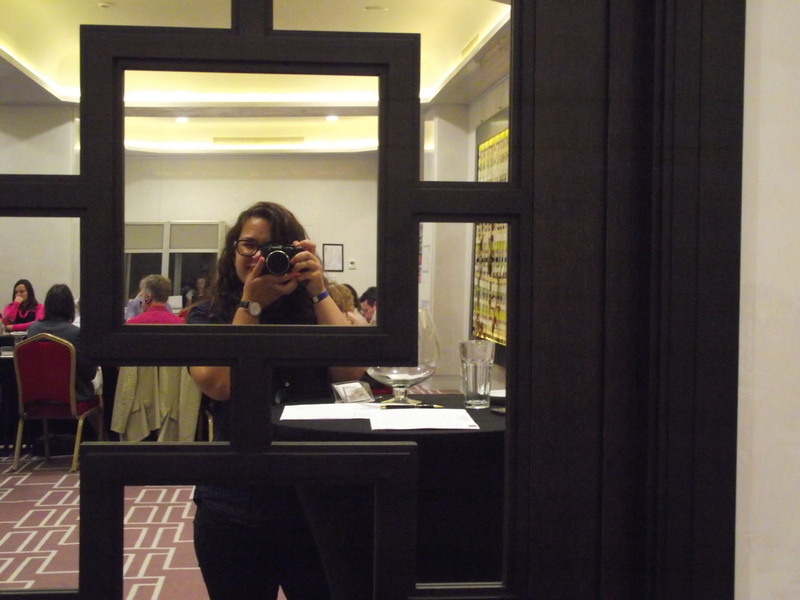 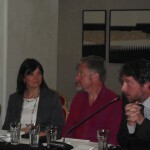 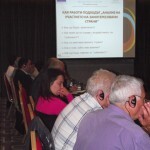 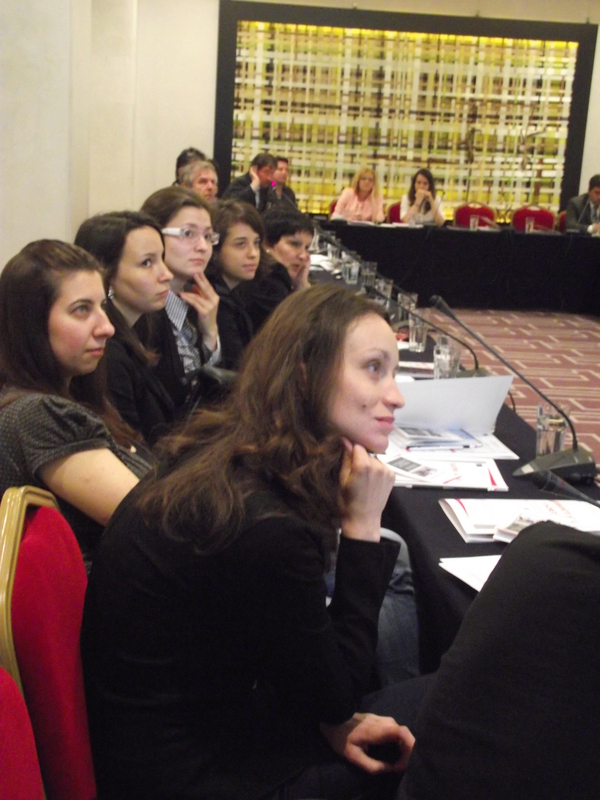 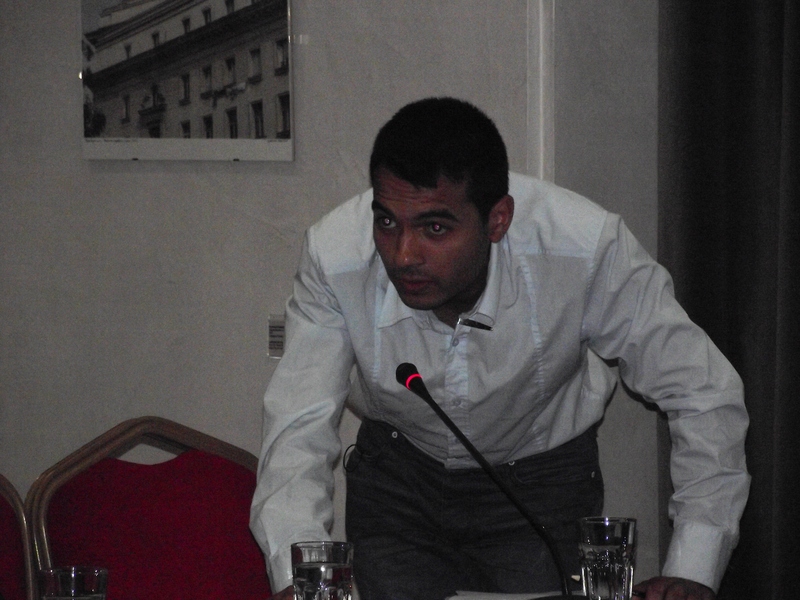 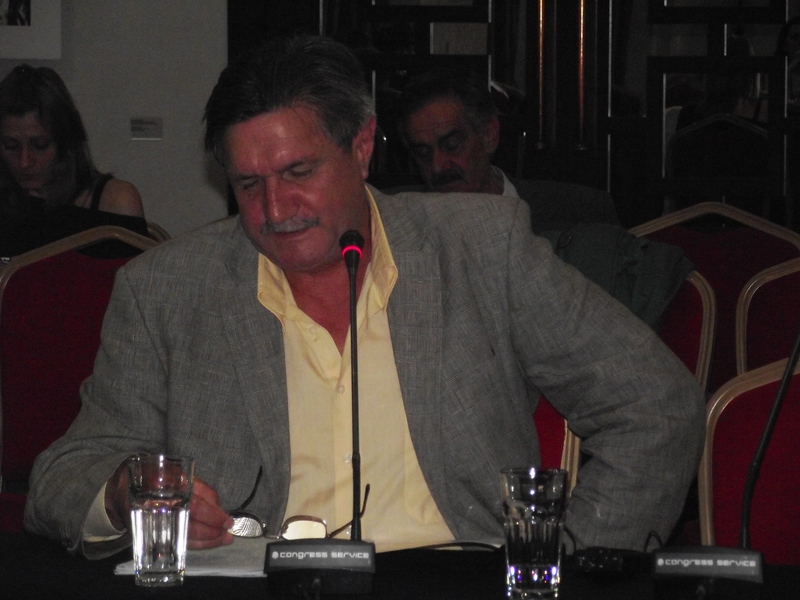 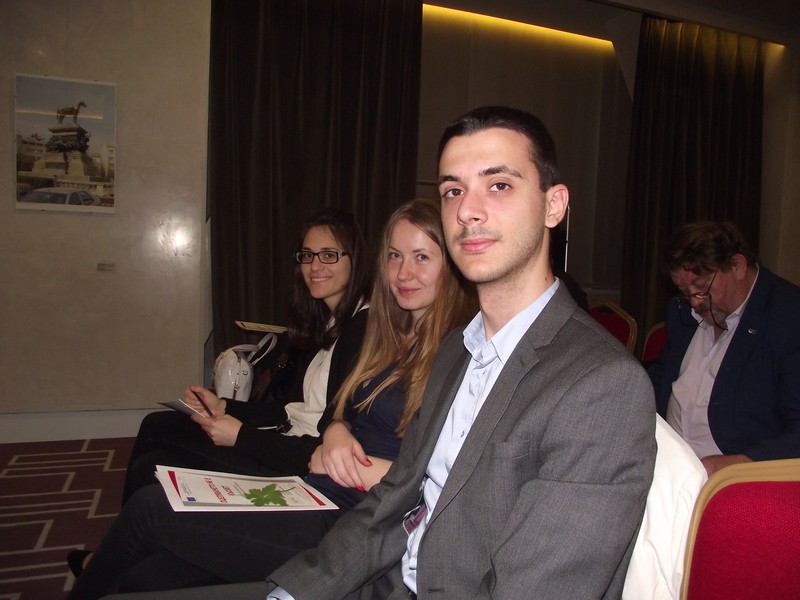 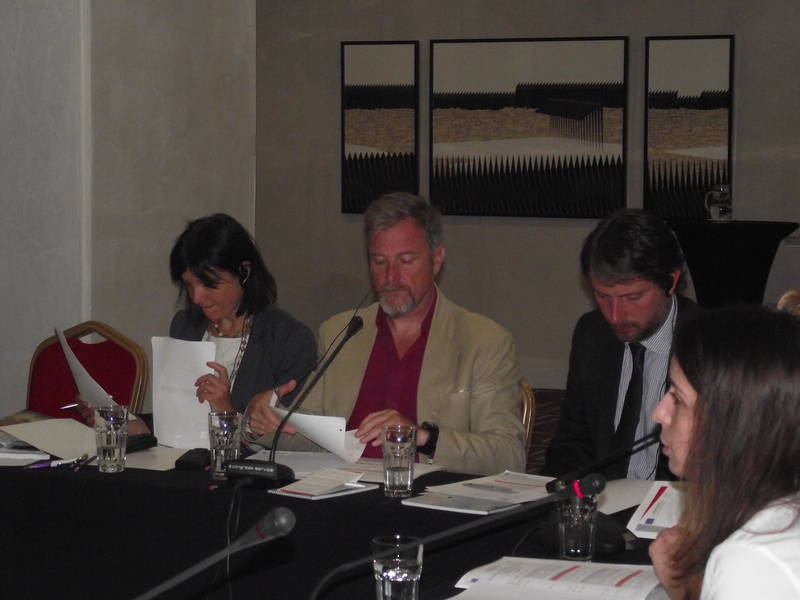 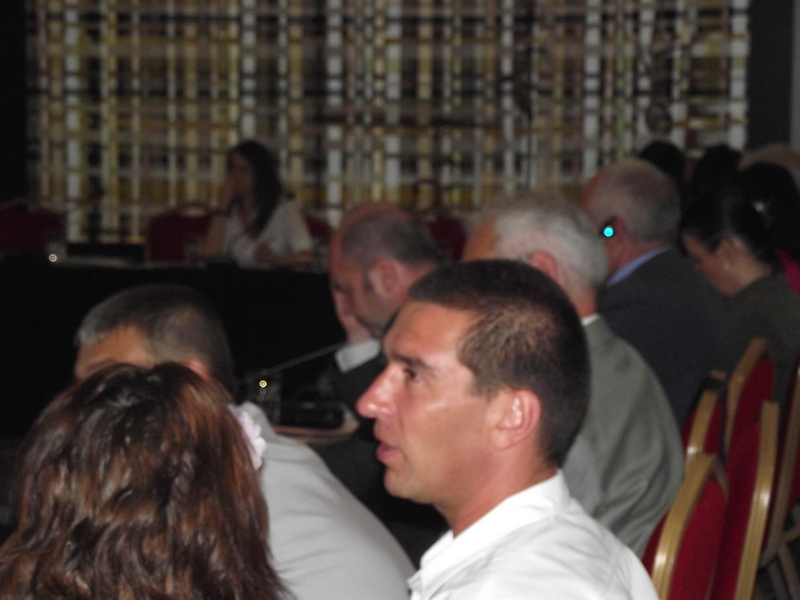 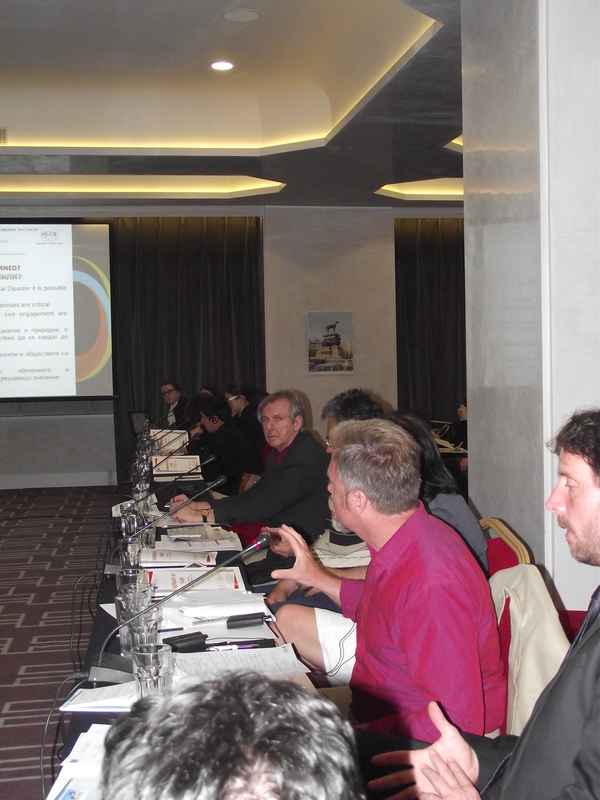 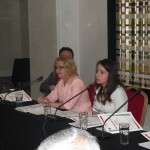 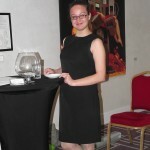 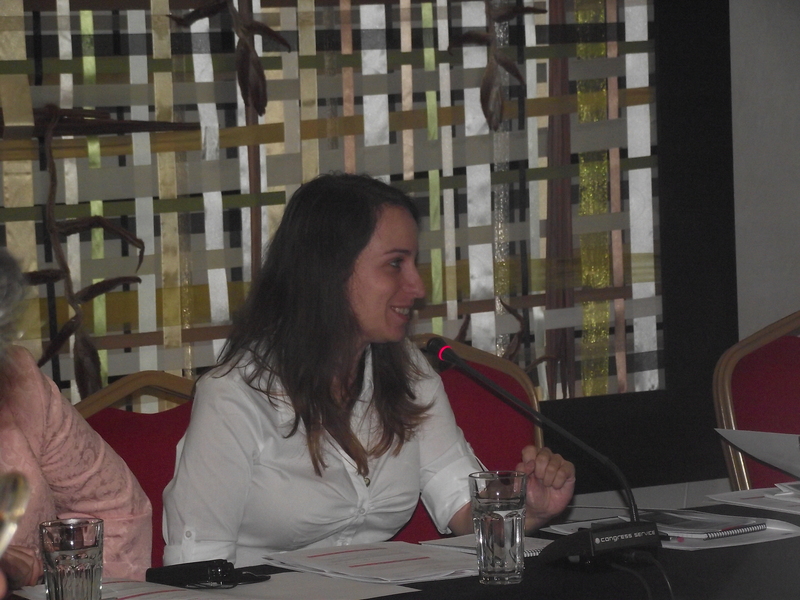 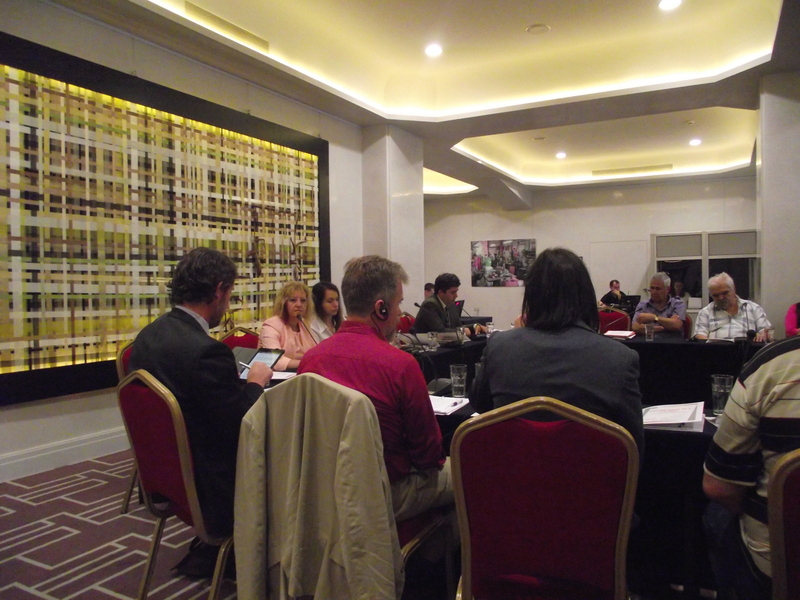 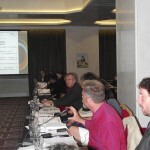 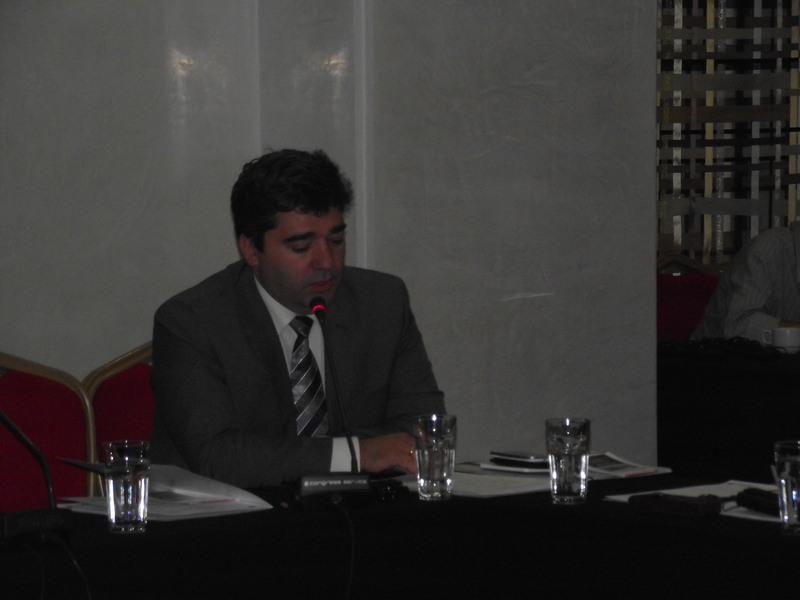 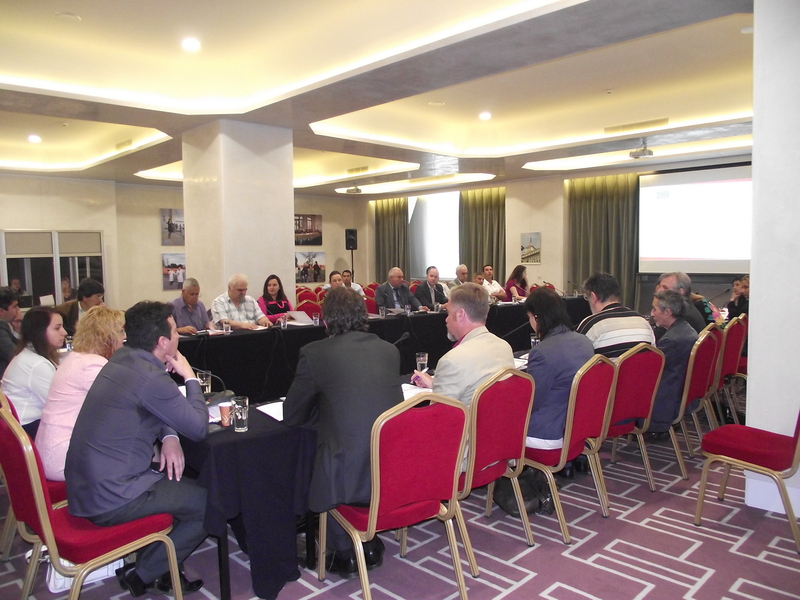 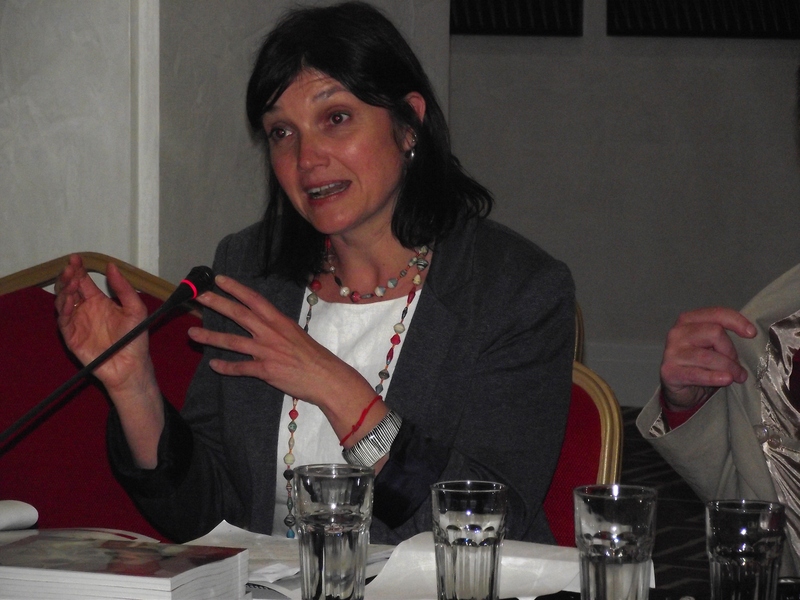 Projects | Association “Sustainability of Progressive and Open Communication"
On the 27 June 2014 was held a conference “Innovations in the prevention of natural and social disasters” in the great hall of the Radisson Blu Grand Hotel Sofia. 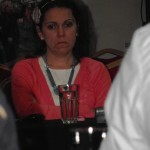 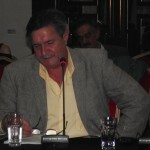 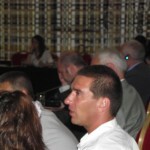 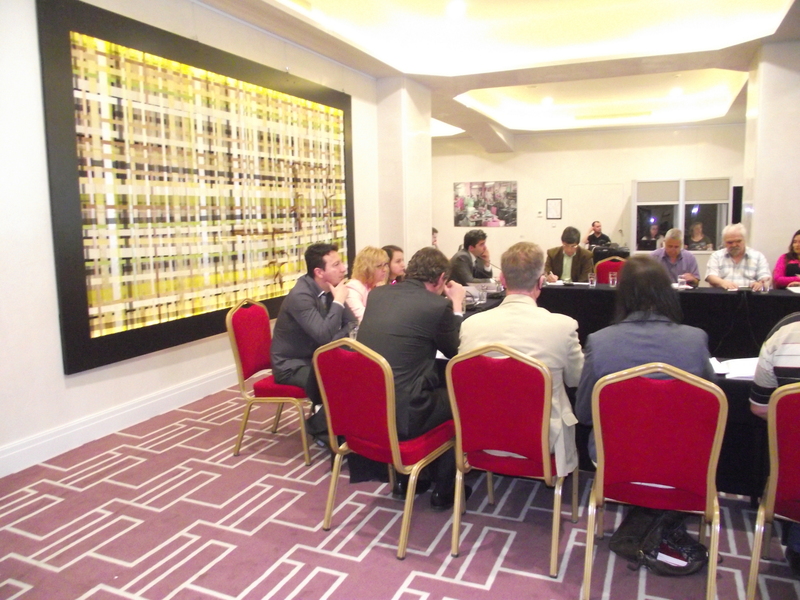 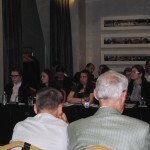 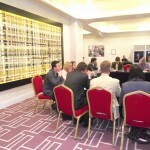 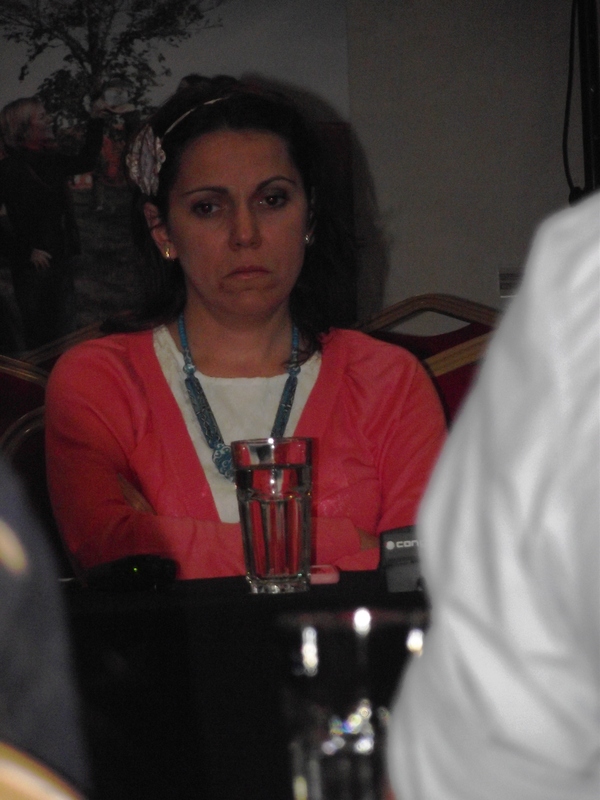 The conference was all day long from 09:00 to 17:30 o’clock. 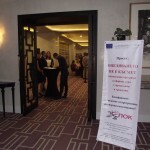 To the event were invited media representatives, ministers, government agencies, the Presidency, police, fire station, first aid, NGO’s, university and academics teachers, representatives of companies and organizations and other stakeholders in the problem. 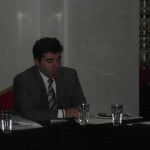 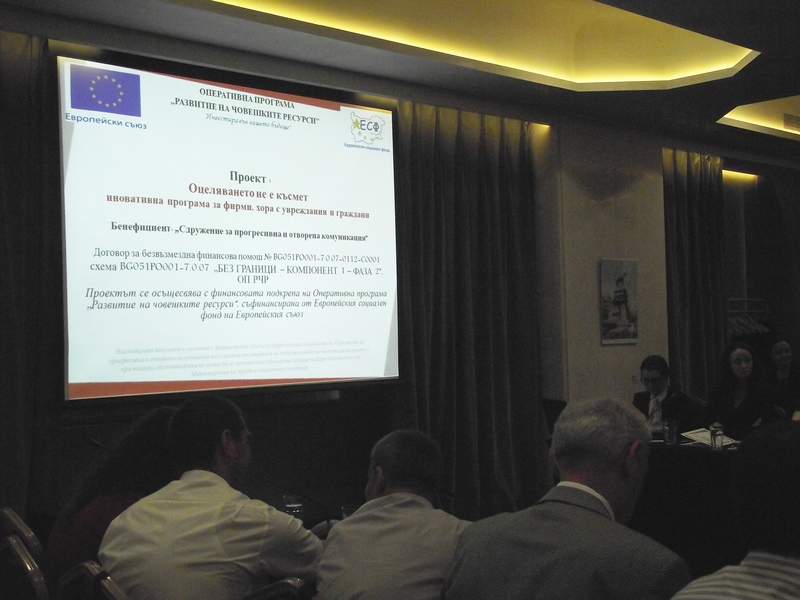 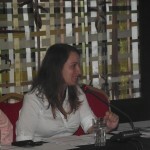 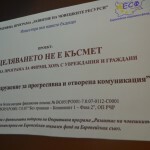 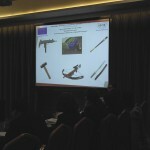 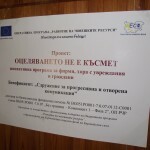 On the conference was presented reports by the project experts from separate training modules including a report of the monitoring and testing of the results of the pilot training.Was discussed psychosocial program for prevention of social and natural disasters and innovations and innovative methods and approaches to improve the security of citizens and improve the competitiveness of companies and organizations. 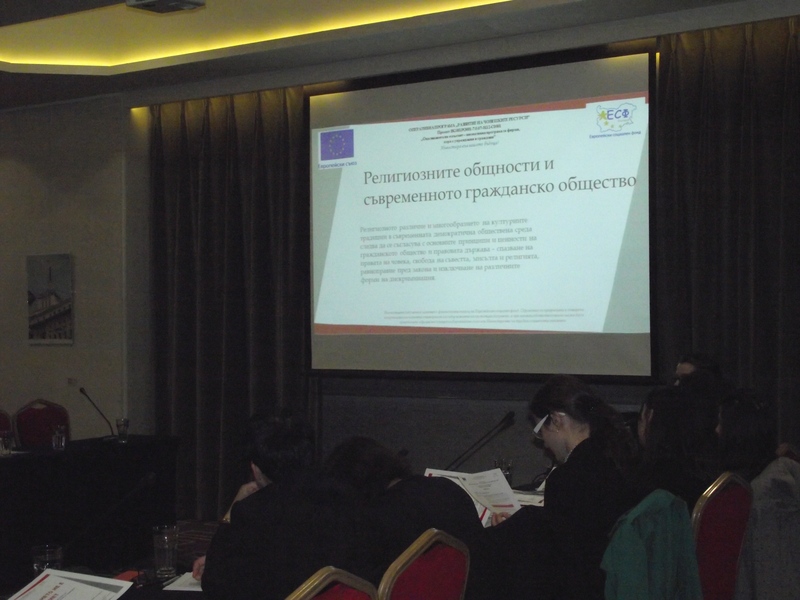 In the conference was attended by experts from the partner organization “Sazani”, who focused their reports on innovative practices and methods to achieve resilience in society. 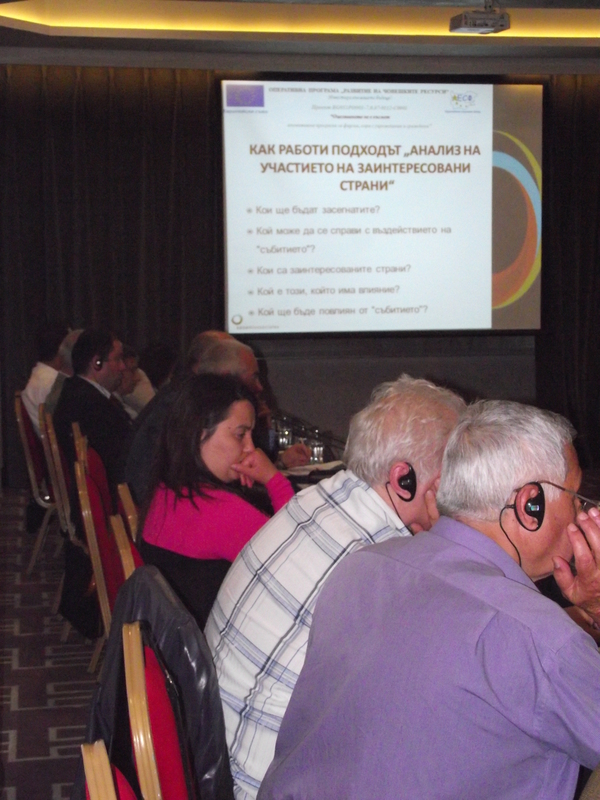 The reports of the experts caused serious discussion and debates among the participants and was discussed innovative practices in the field of prevention of social and natural disasters with wide range of stakeholders. 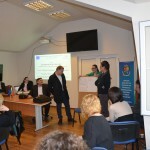 The innovative program created under the project, was promoted to institutions, companies, organizations and the community. 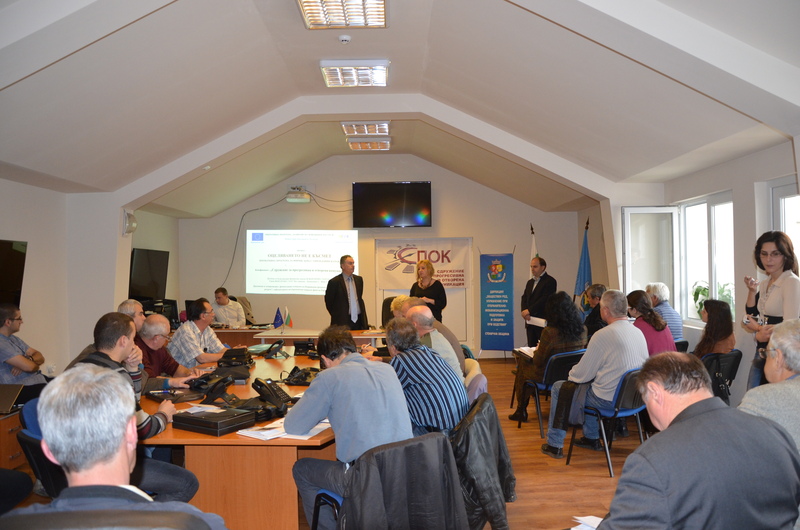 The activity on monitoring and testing the results of the pilot trainings for firms, people with disabilities and citizens is completed. 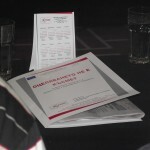 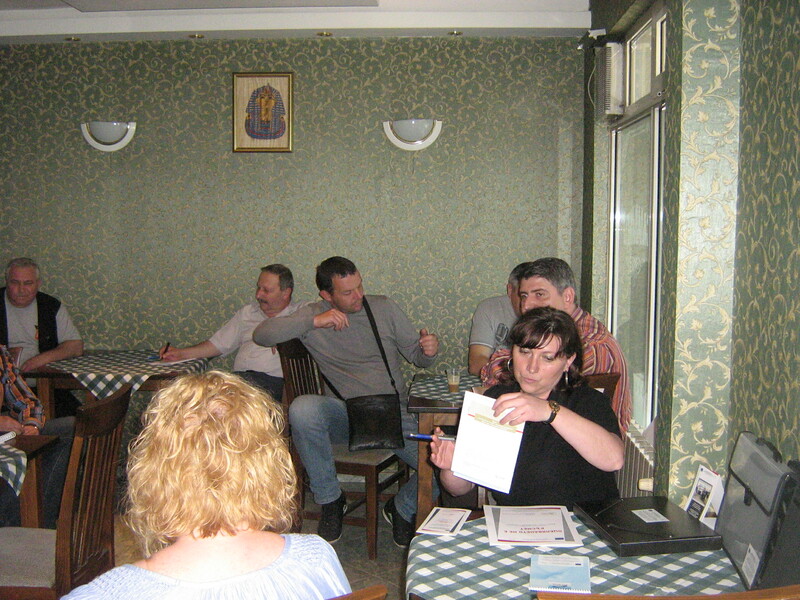 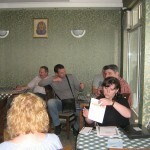 The activity was carried out by a team of project experts – psychologists, security experts, social workers, including experts from the partner organization, by filling out the incoming and outgoing questionnaires of trainees, at the beginning and at the end of the training the questions were relative to this trace initial attitude, experience and knowledge of the participants on the topic of training and at the end to get their feedback on the effectiveness of the learning process and evaluate the usefulness of the presented modules (themes).Psychologist on the project attended the training for professional supervision of the learning process. 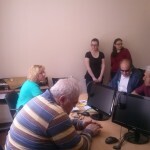 Experts from the partner organization made a detailed review of the completed questionnaires and had the opportunity to personally supervise the learning process during training in the Alexandrovska Hospital. 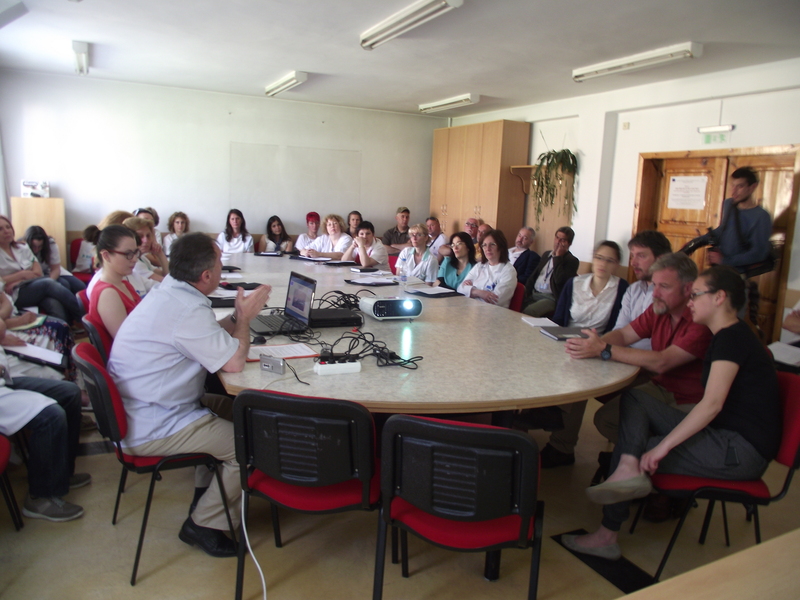 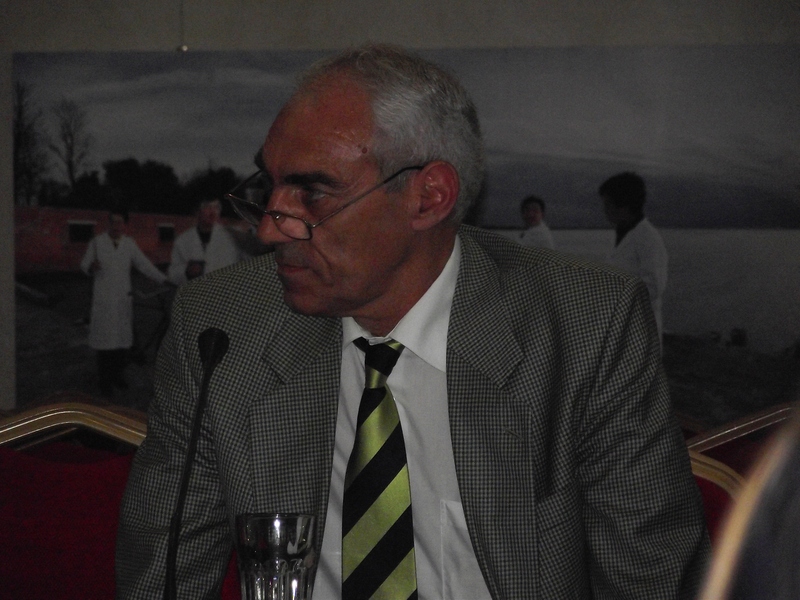 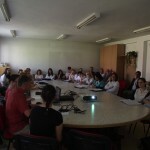 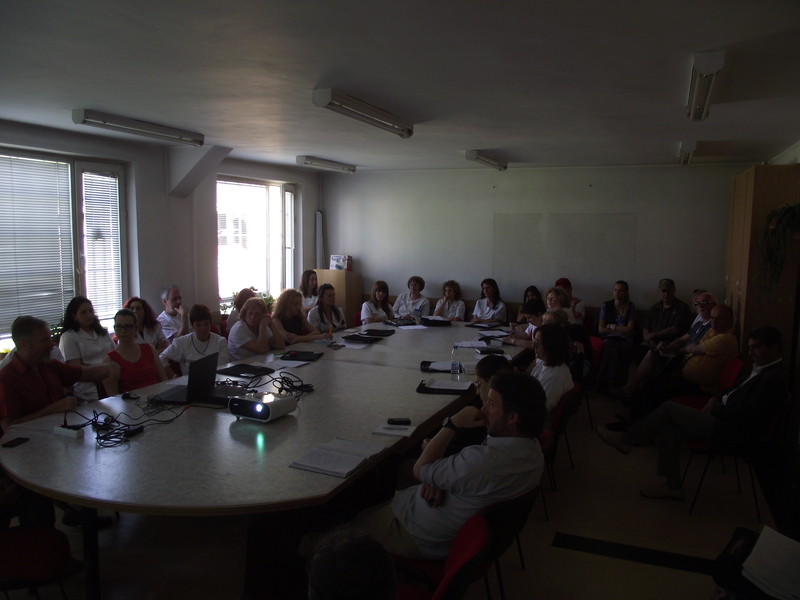 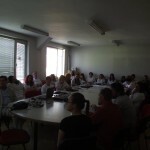 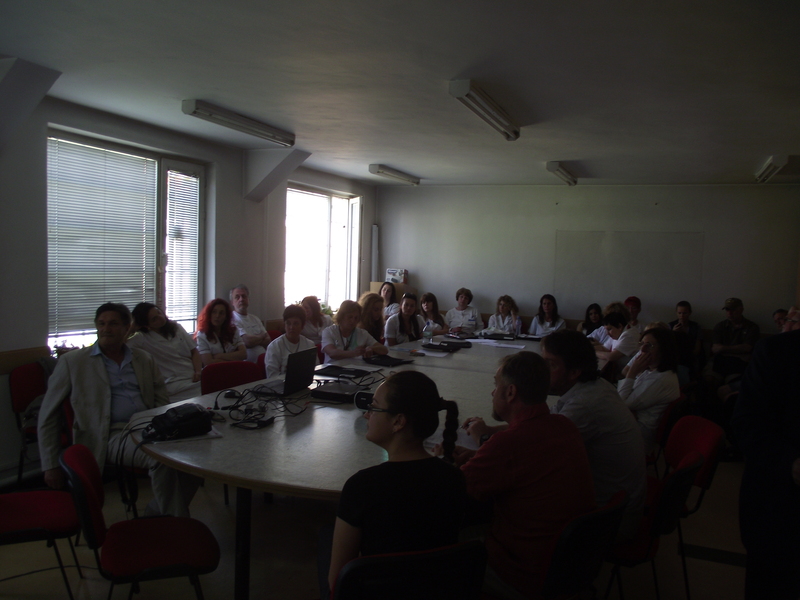 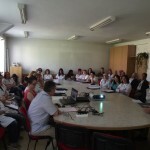 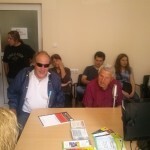 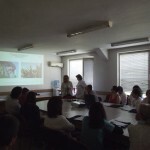 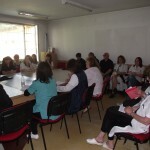 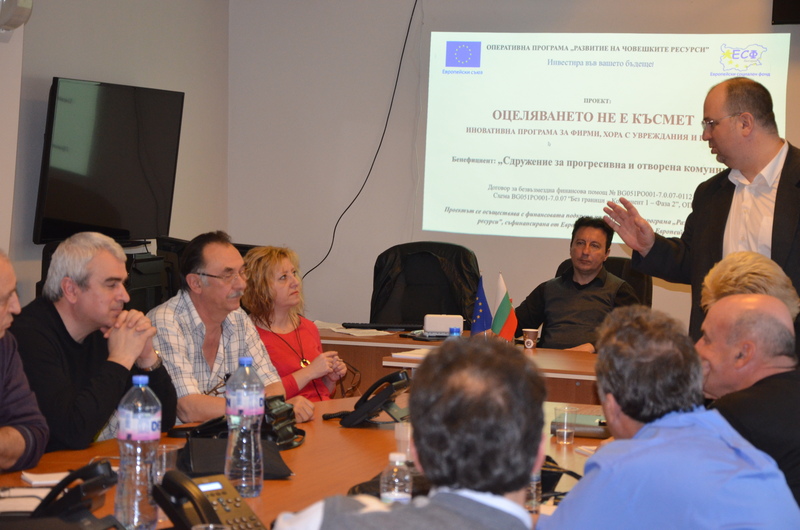 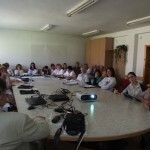 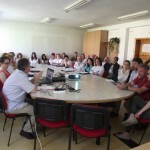 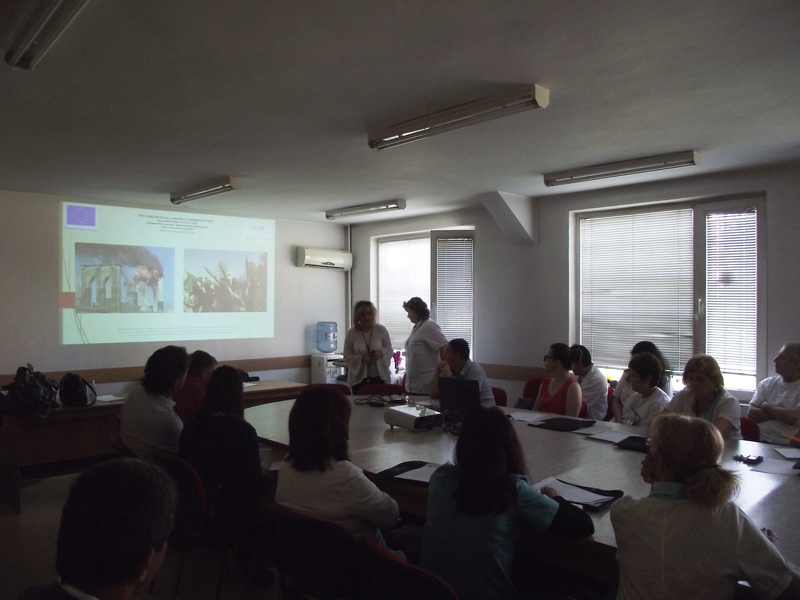 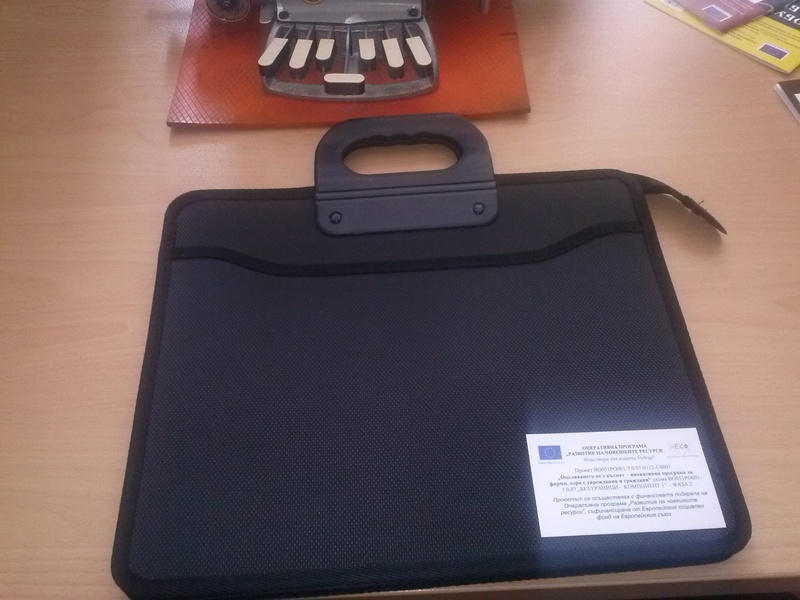 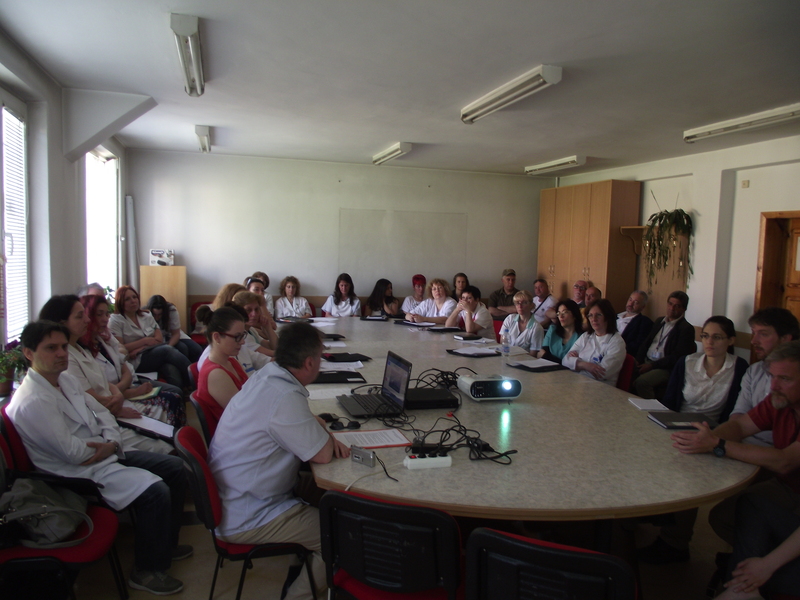 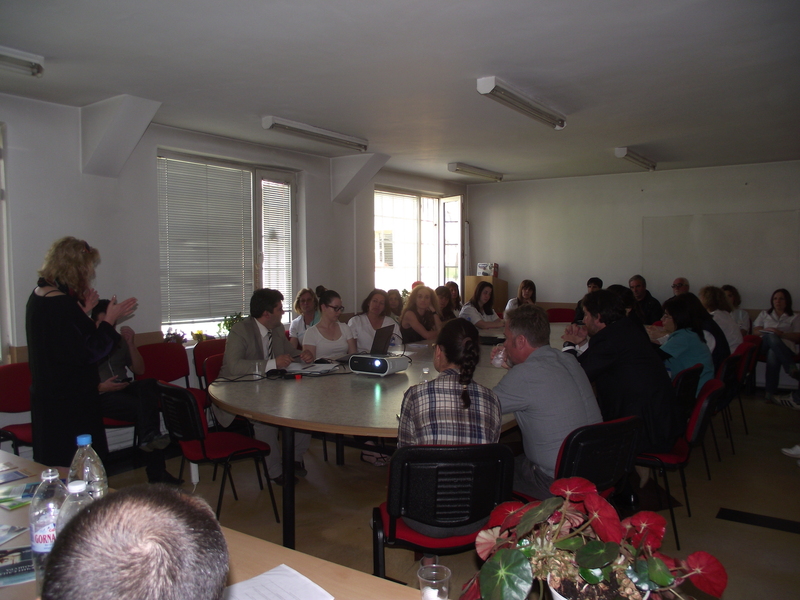 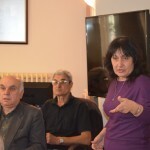 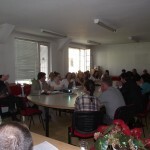 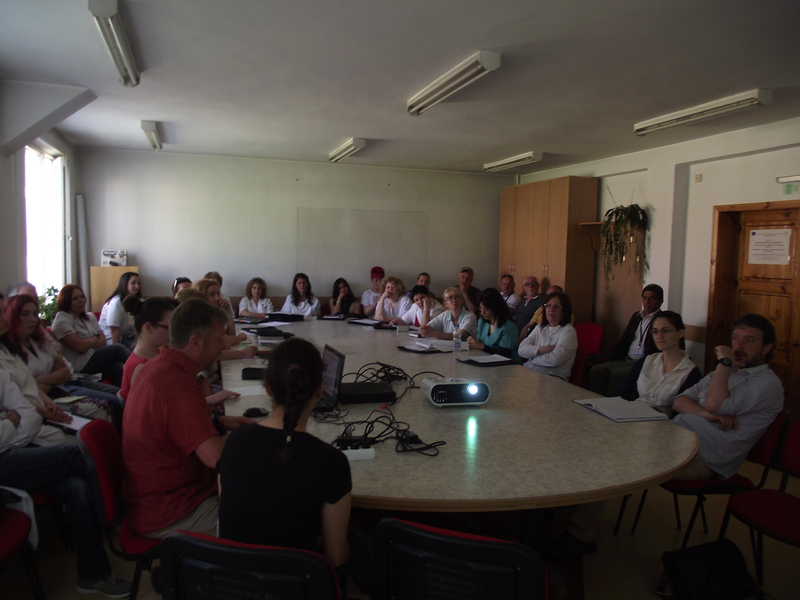 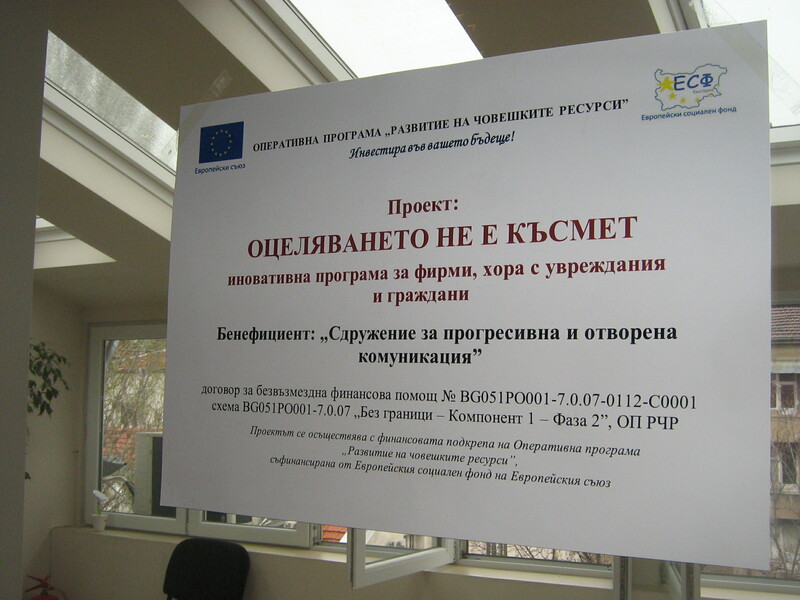 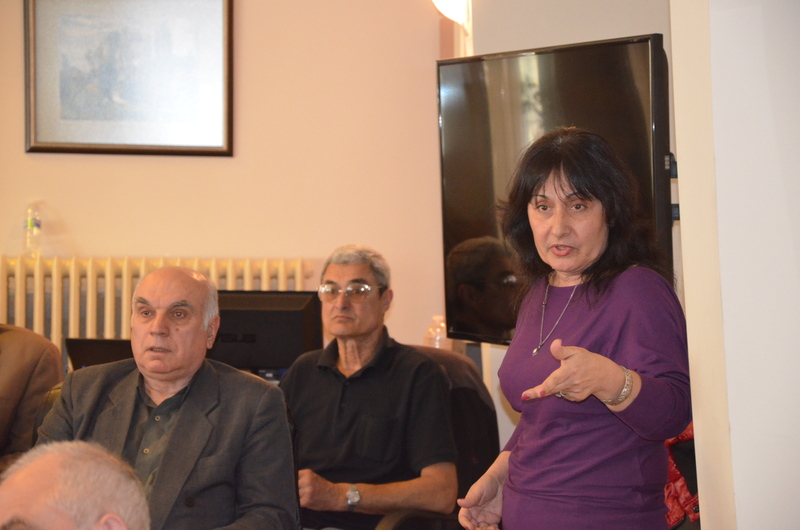 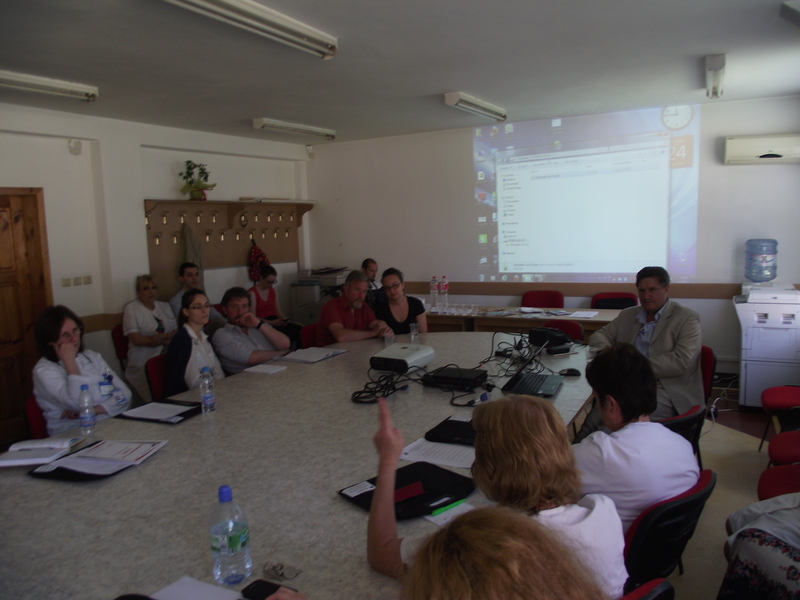 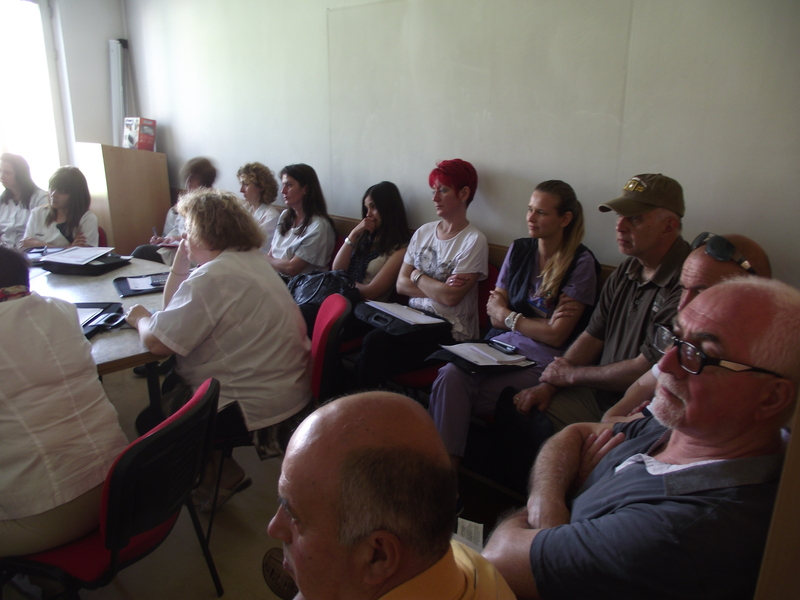 In June 2014 finished the third pilot training for employees, which was conducted at University Alexandrovska Hospital among hospital staff – doctors, nurses, and other medical stuff.The training was conducted with experts from the partner organization “Sazani” who were in Bulgaria to participate in the learning process, monitoring and testing the Innovative training program. 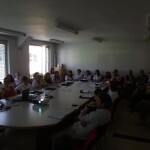 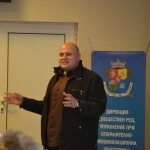 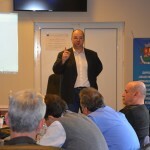 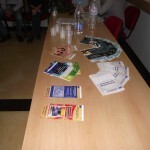 The experts from the partner organization in the project presented lectures and held discussion and interactive role-playing games with the employees of the hospital. 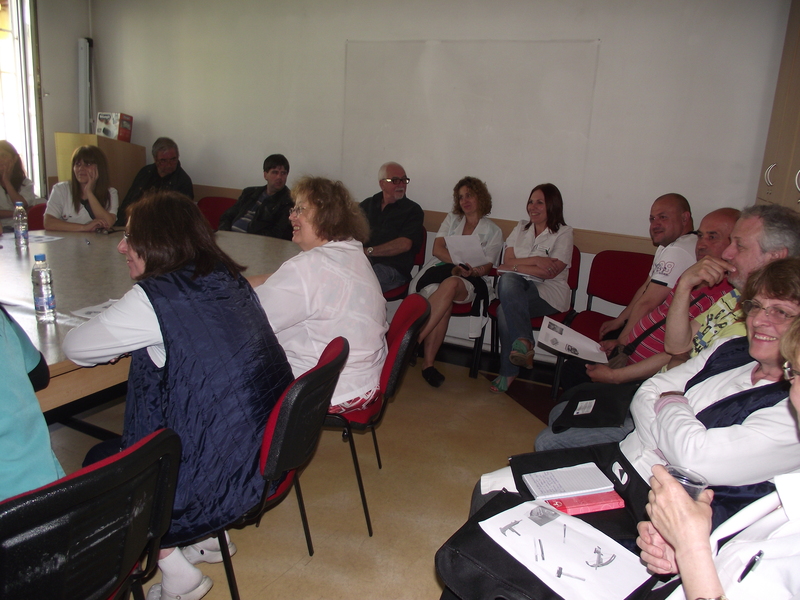 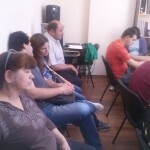 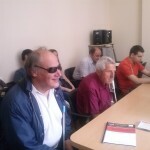 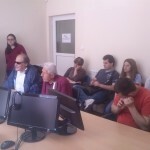 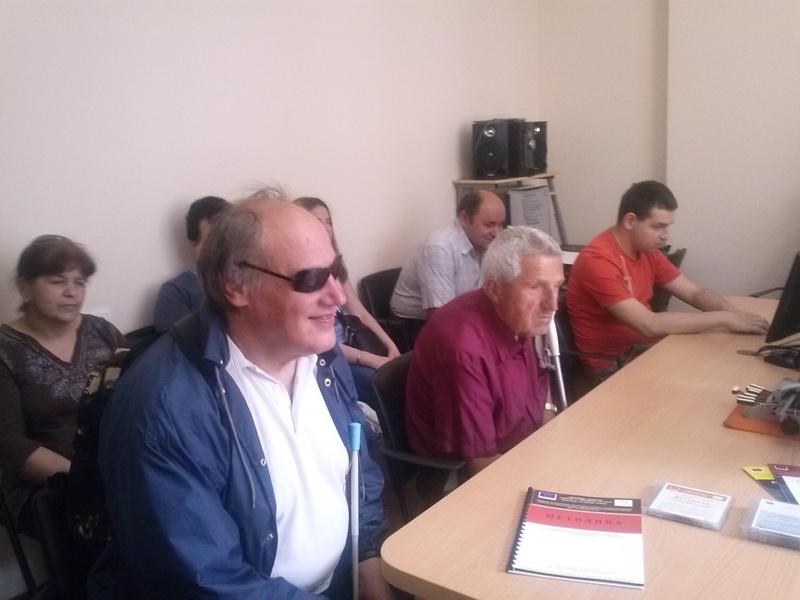 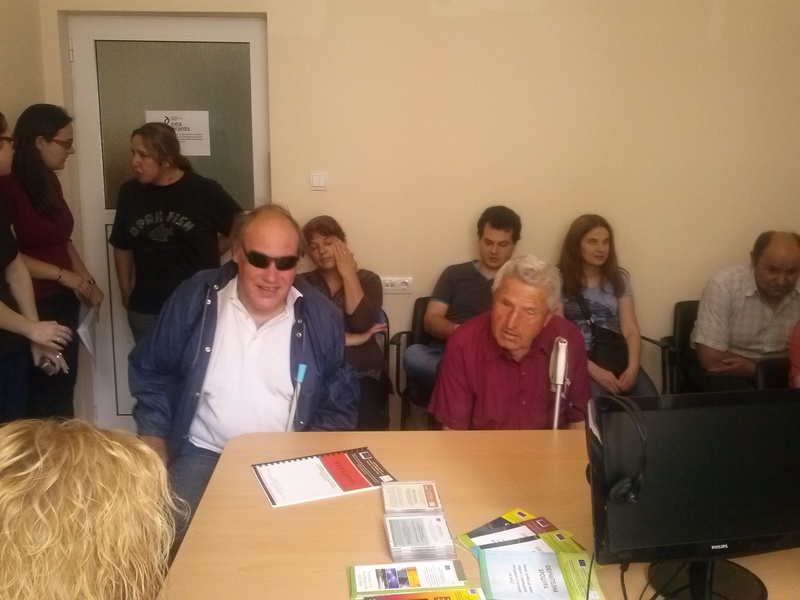 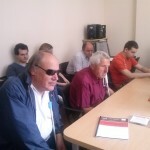 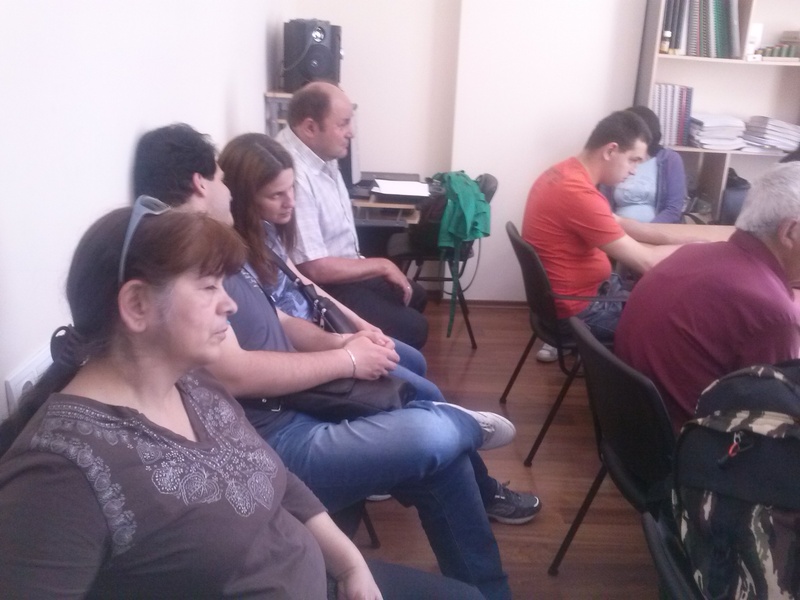 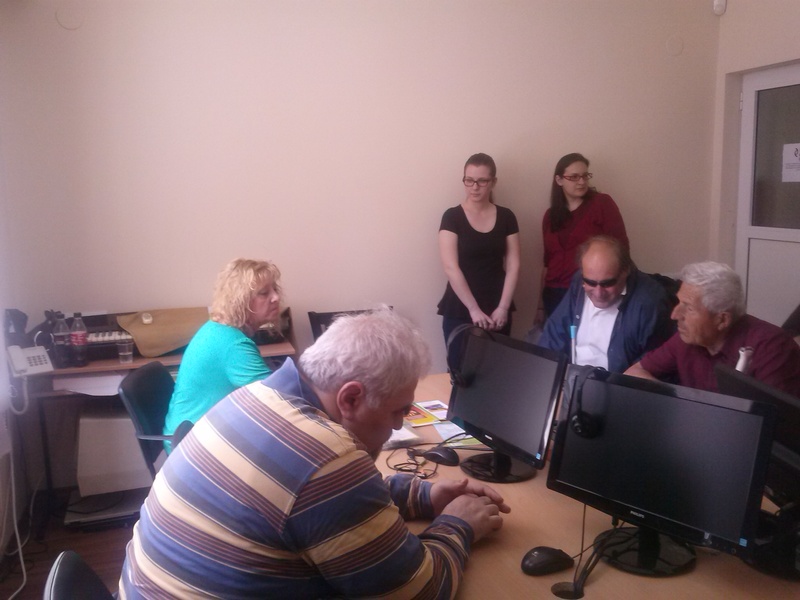 Two trainings for people with disabilities were conducted on the 26.05.2014 in the Centre for social rehabilitation and integration of people with visual disabilities and on the 11.06.2014 in the Labor bureau for people with visual disabilities. 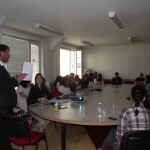 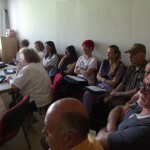 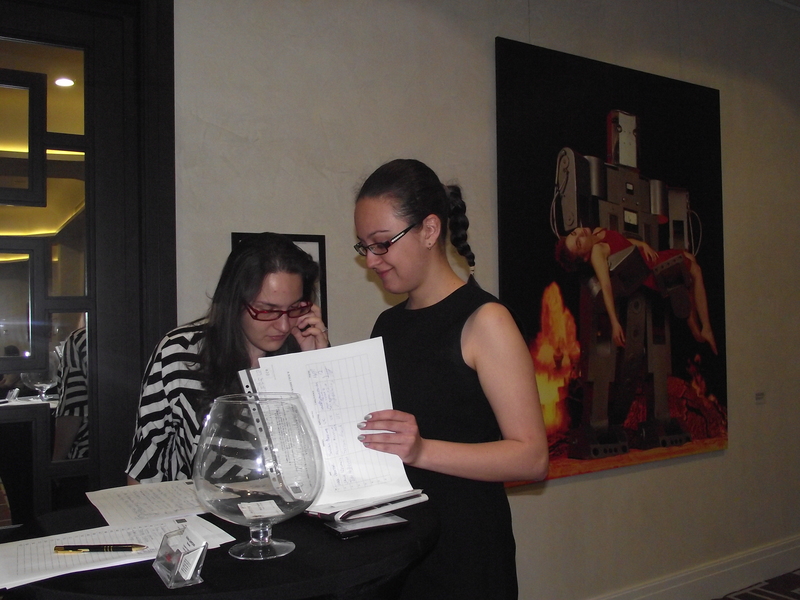 The trainings were full-time and intensive, complying with the specific needs of the target group. 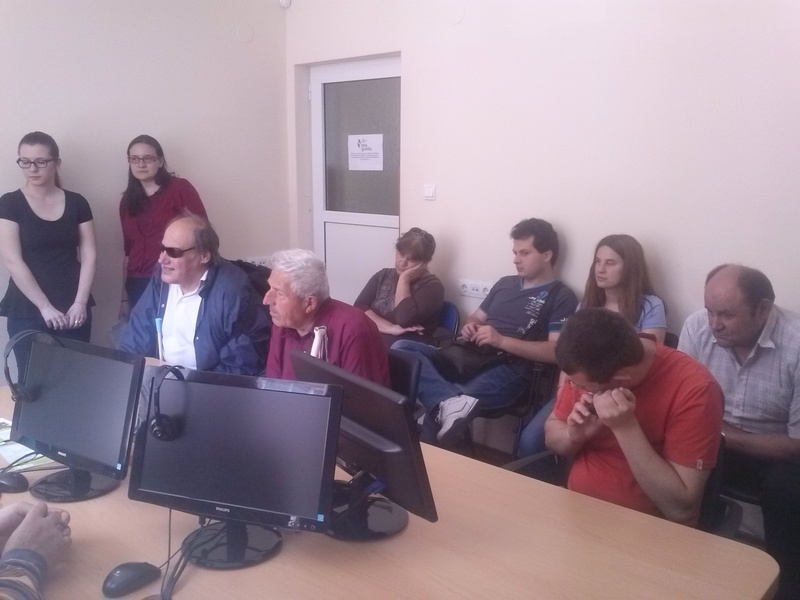 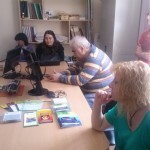 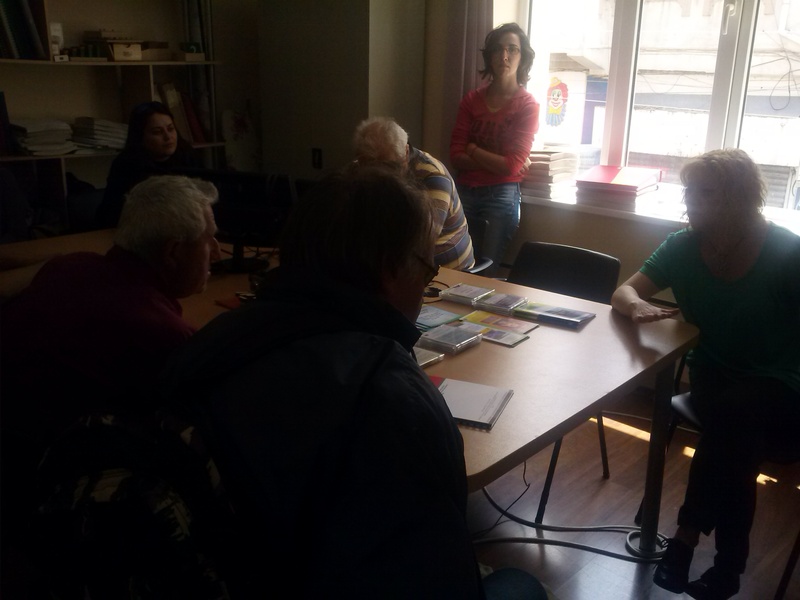 During the trainings there were used the training and methodical materials developed specially for people with disabilities by the Association SPOC under the project. 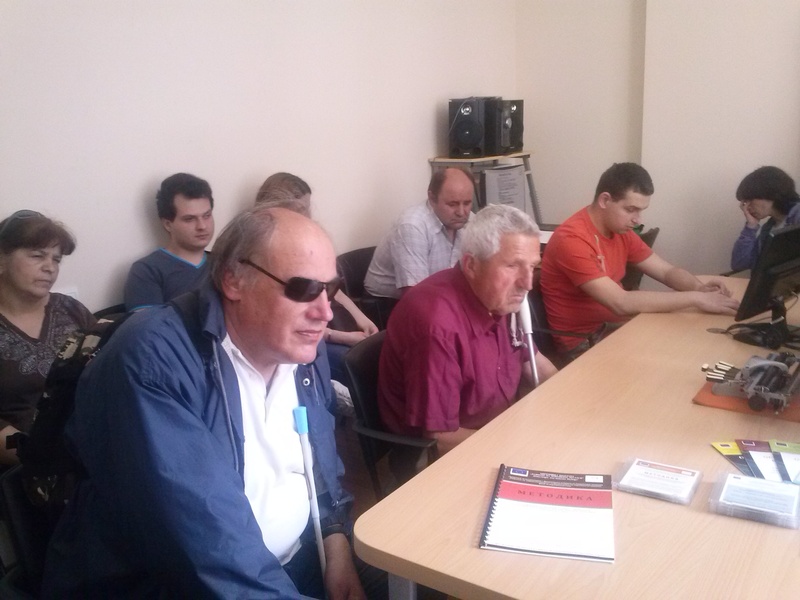 In June was conducted and training of trainers as a two-day training workshop, which were trained representatives of people with disabilities, managers of companies and organizations and specialist of Human Resources. 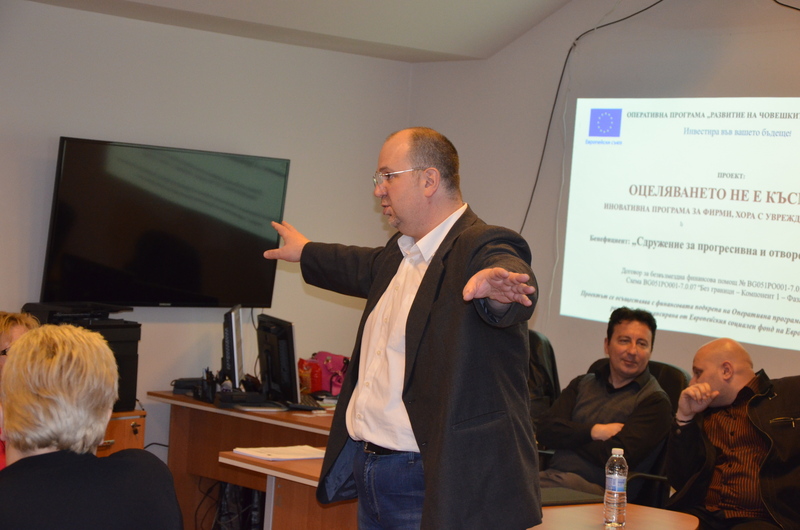 The aim of the training was to cover more employees in preventive training, teaching methodology will be replicated during the training seminar. 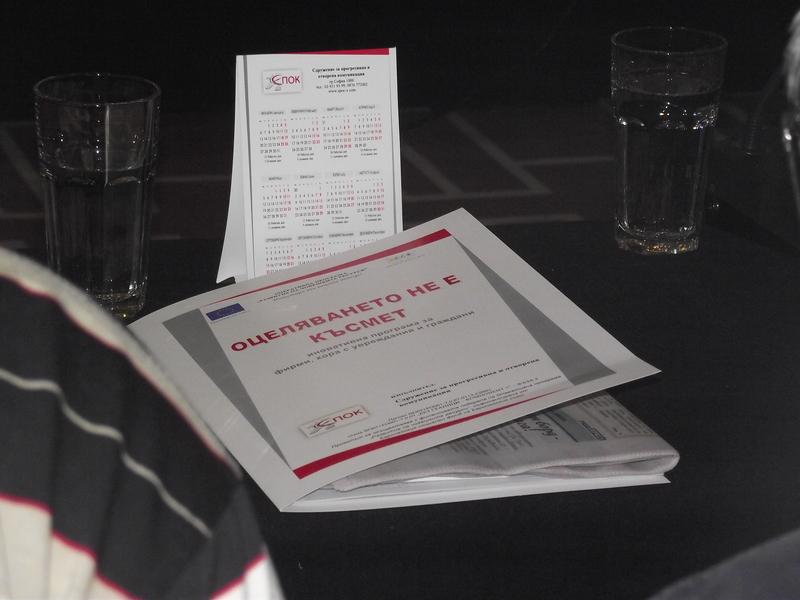 Upon completion of the training seminar, the participants received certificates “Risk managers”. 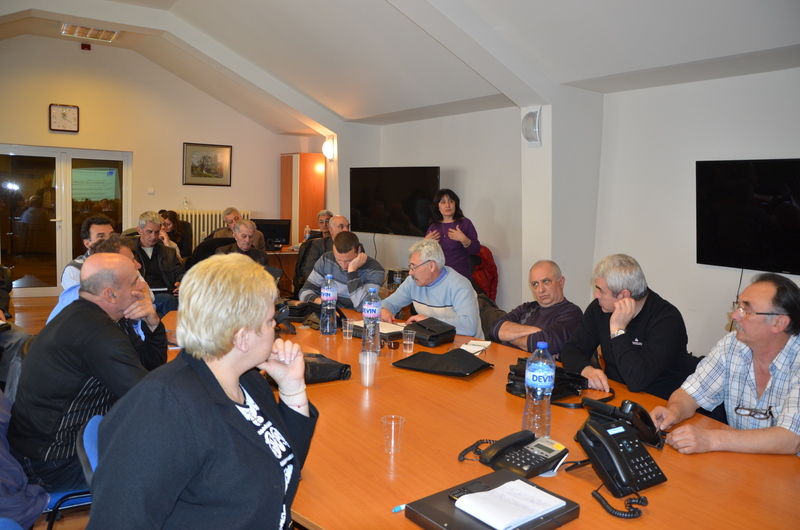 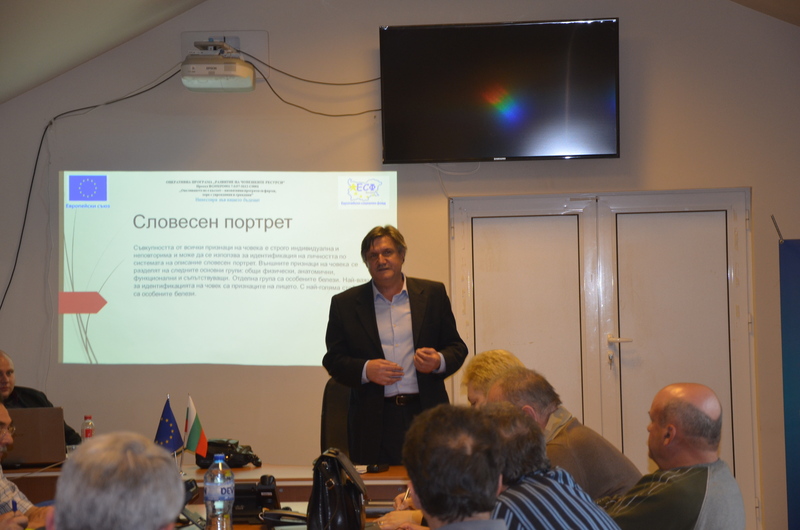 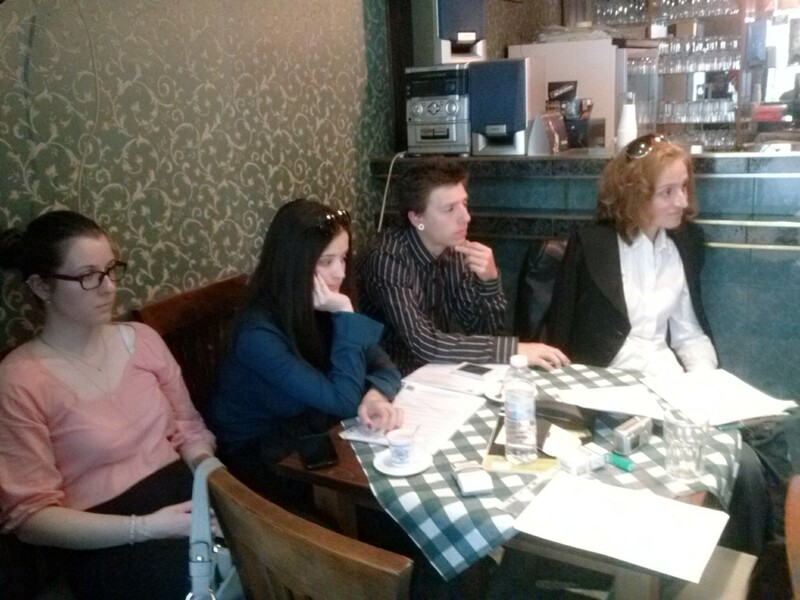 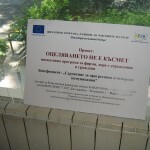 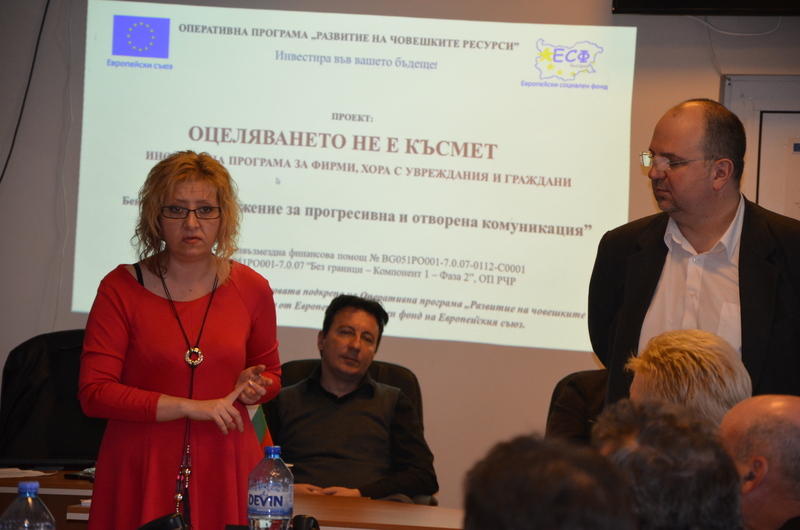 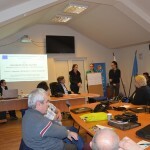 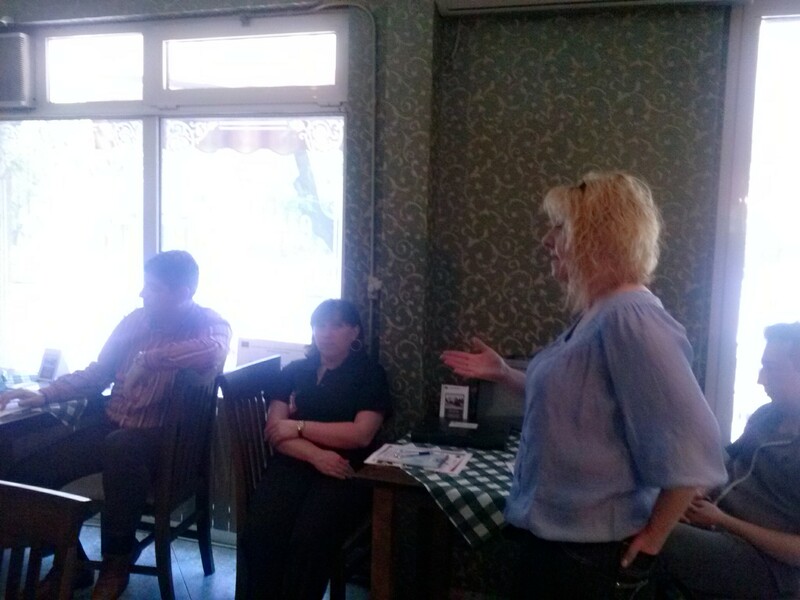 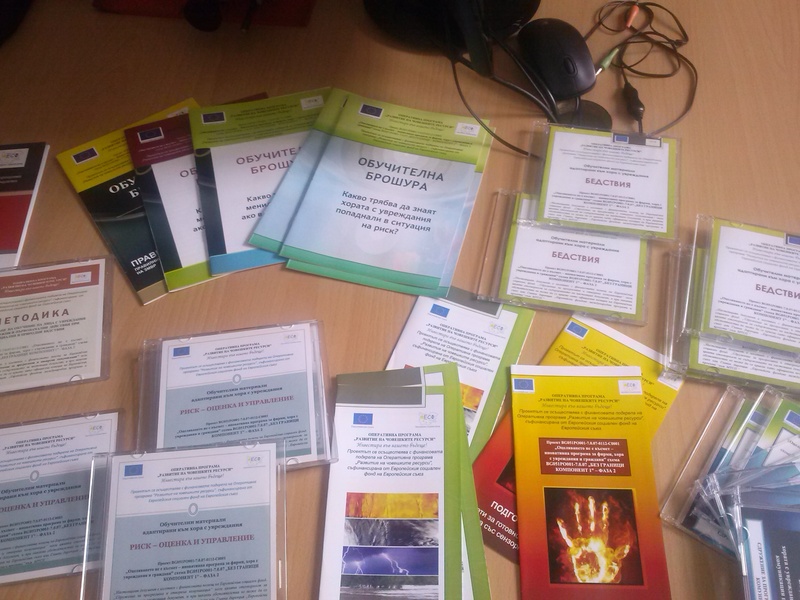 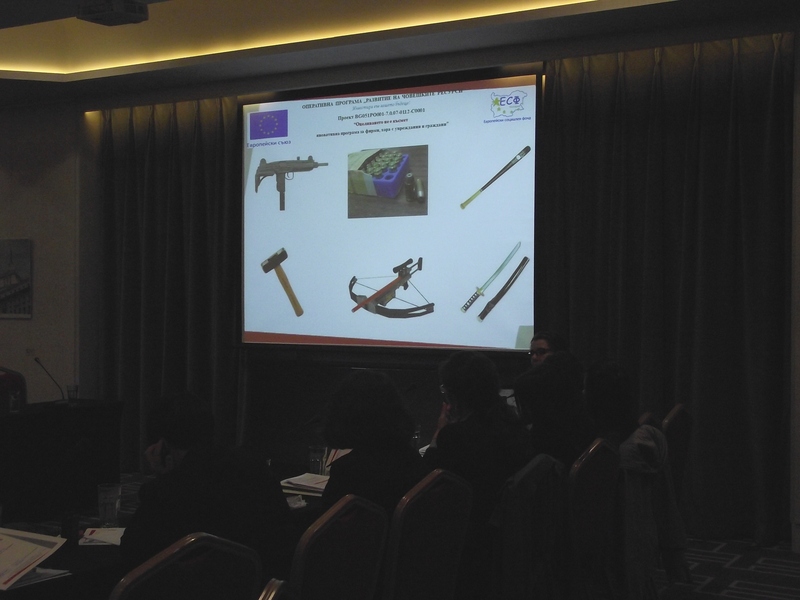 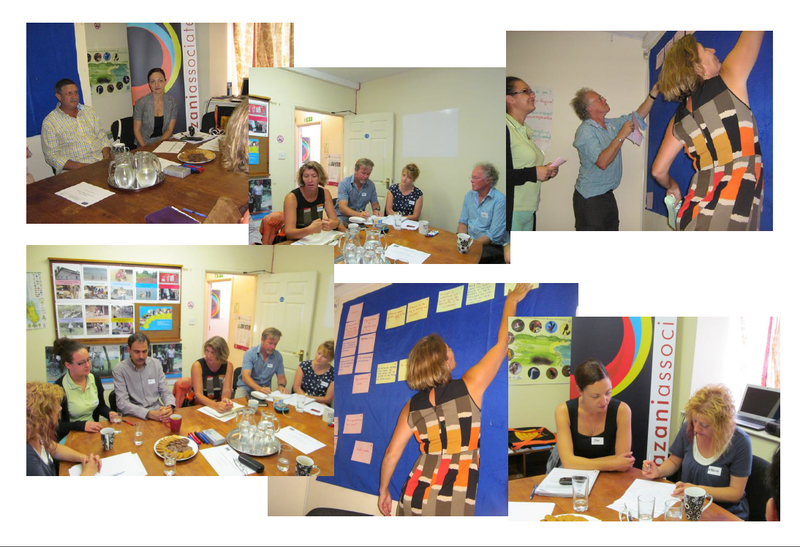 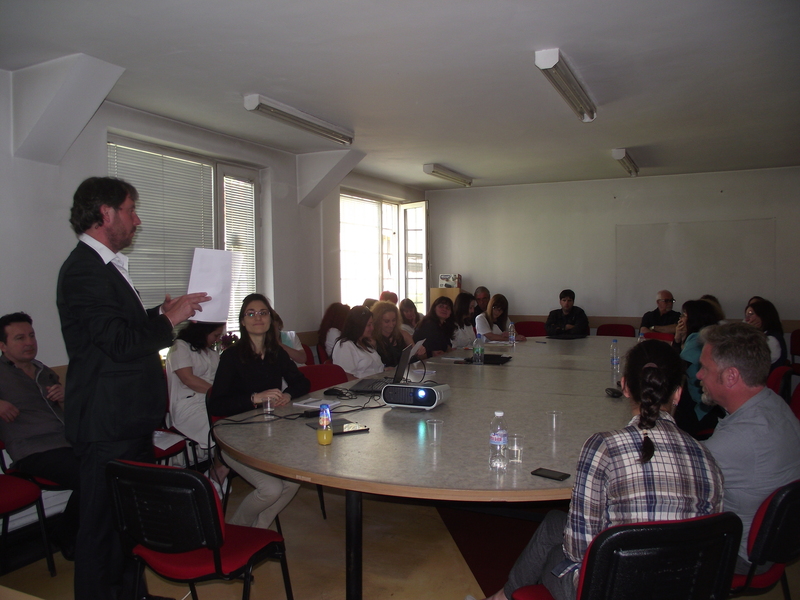 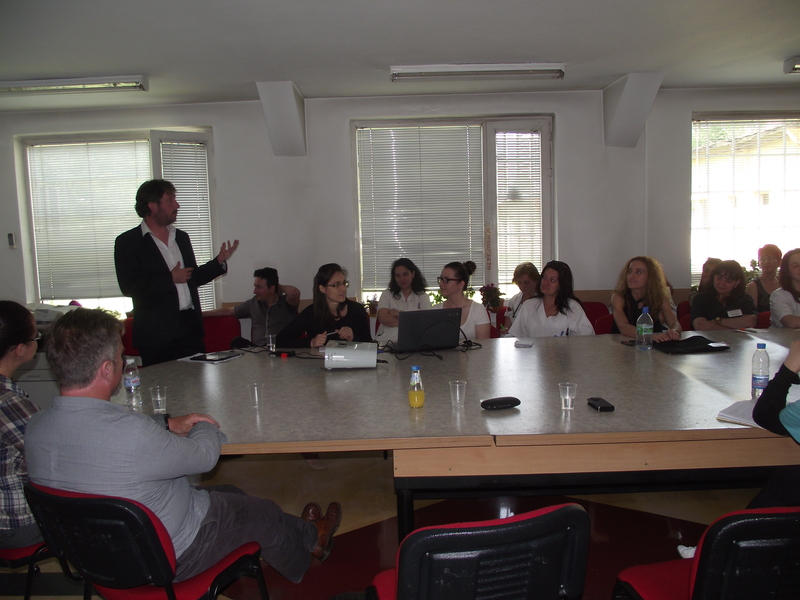 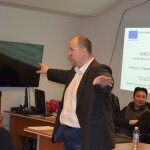 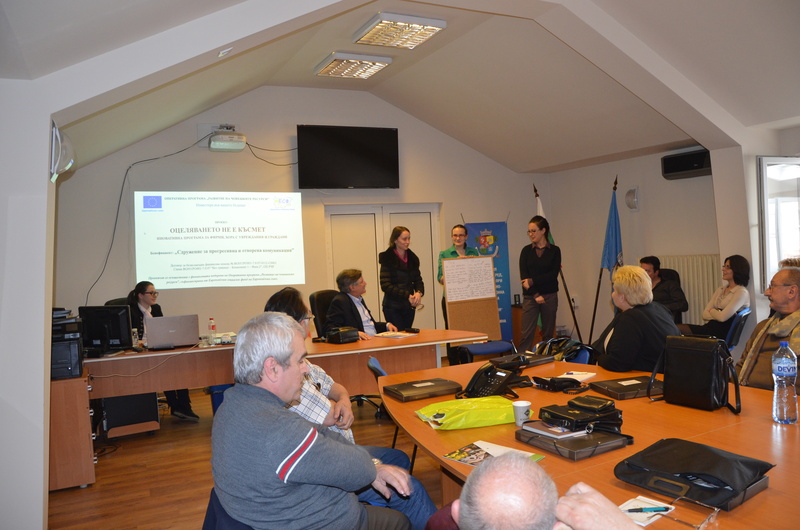 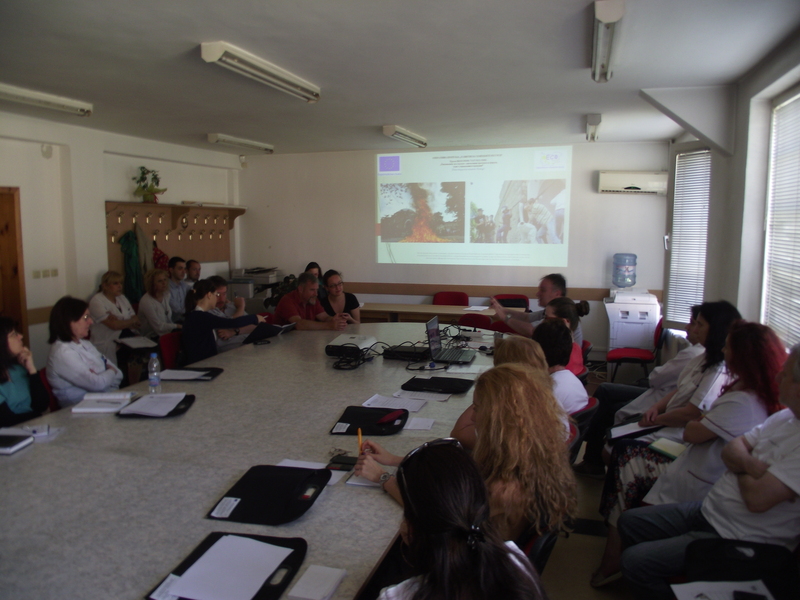 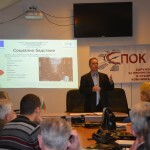 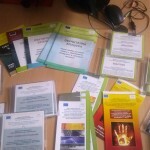 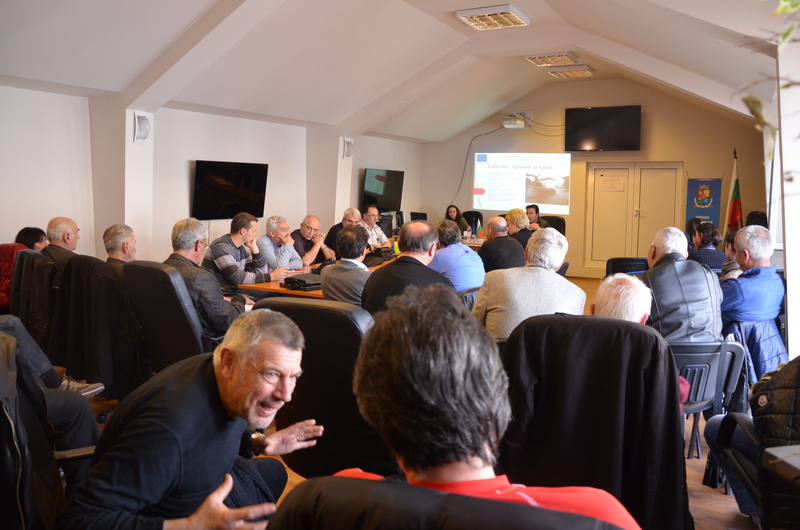 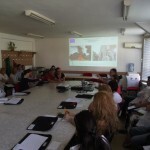 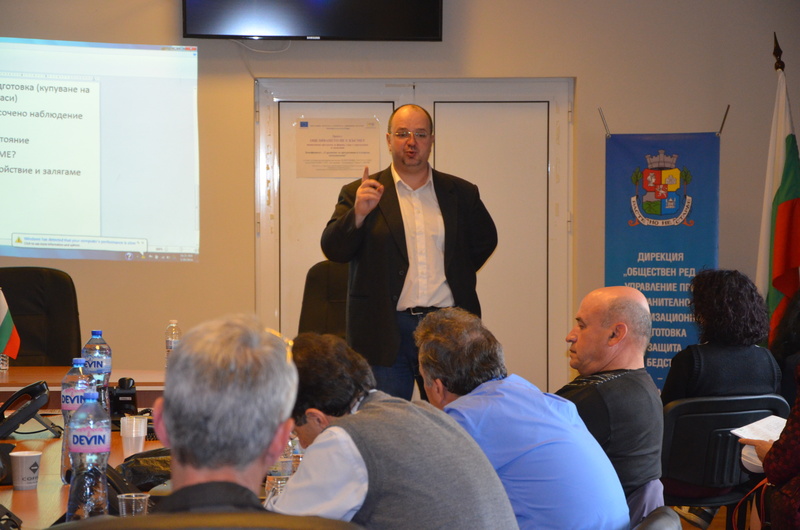 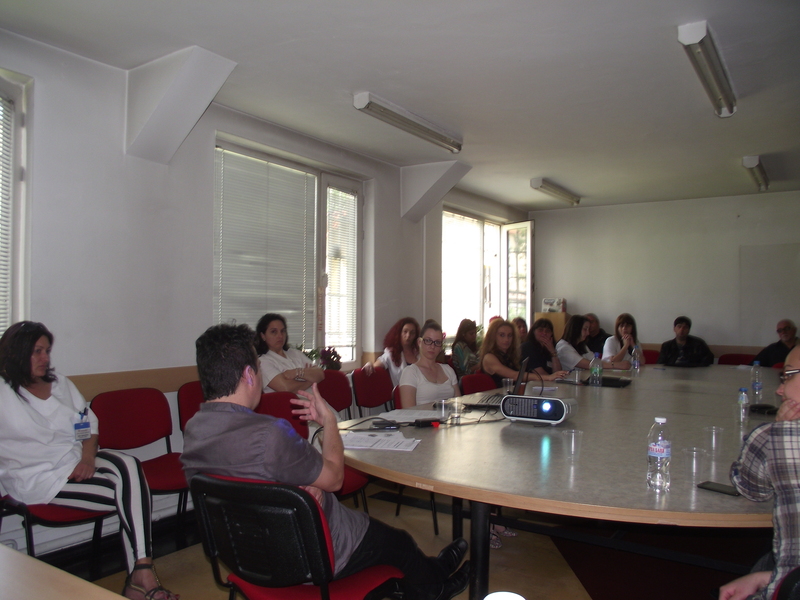 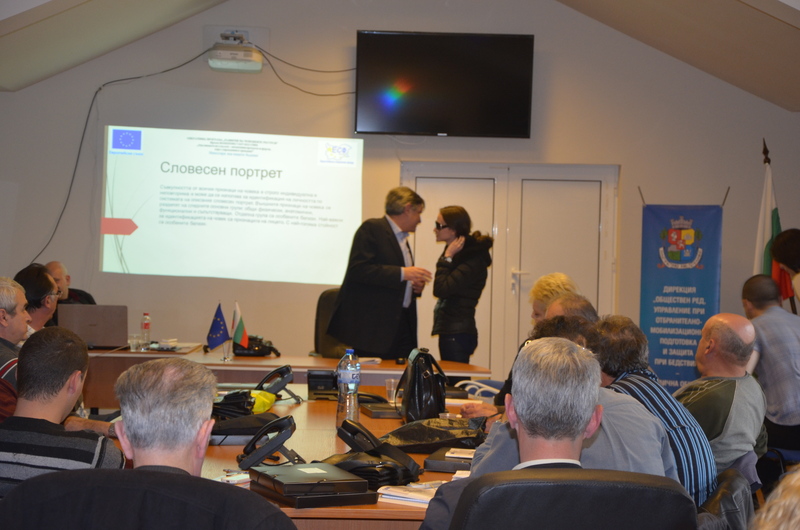 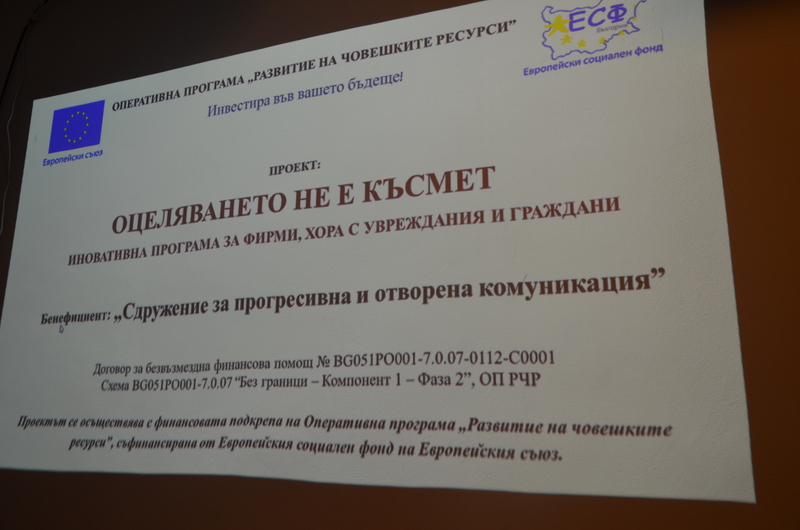 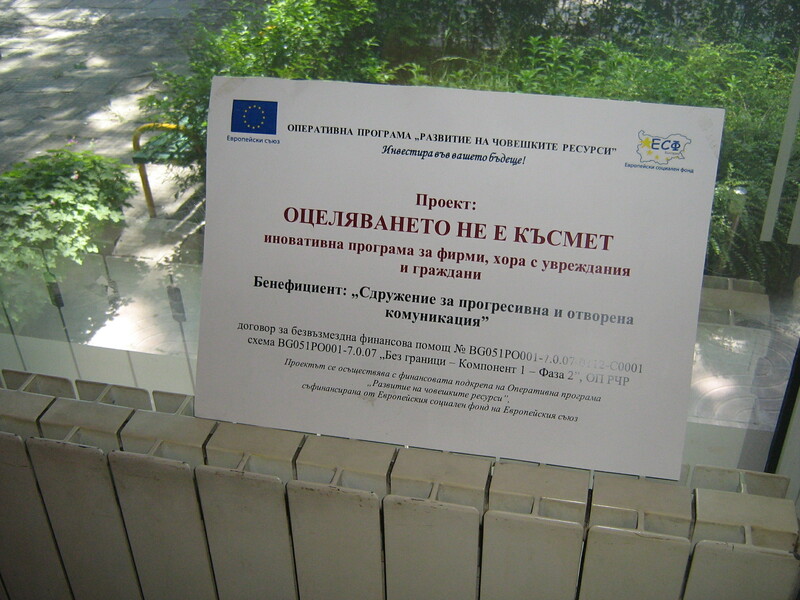 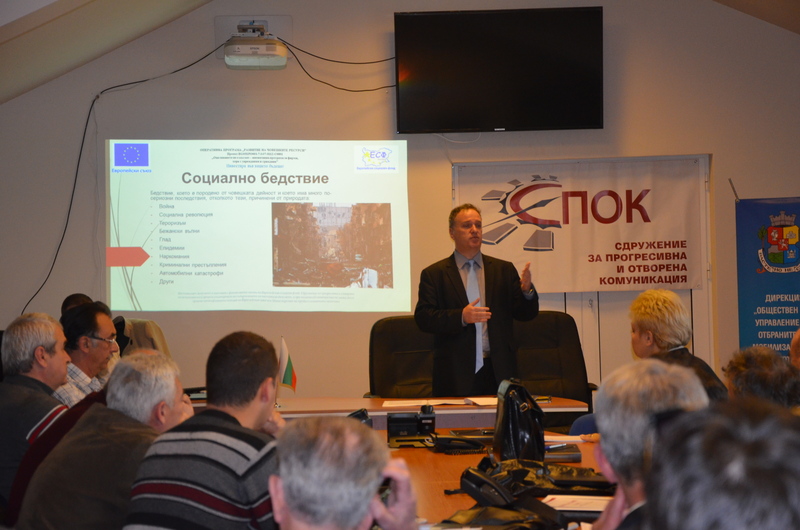 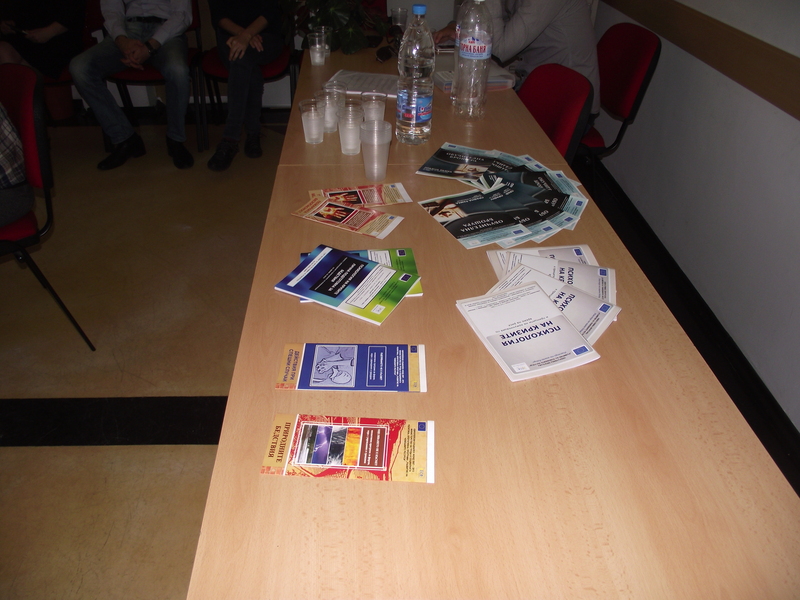 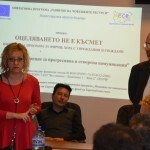 In May 2014 was completed the second pilot training for testing the Innovative training program for firms and citizens under activity 6.1 of the project “Surviving is not just luck – innovative program for firms, people with disabilities and citizens”. 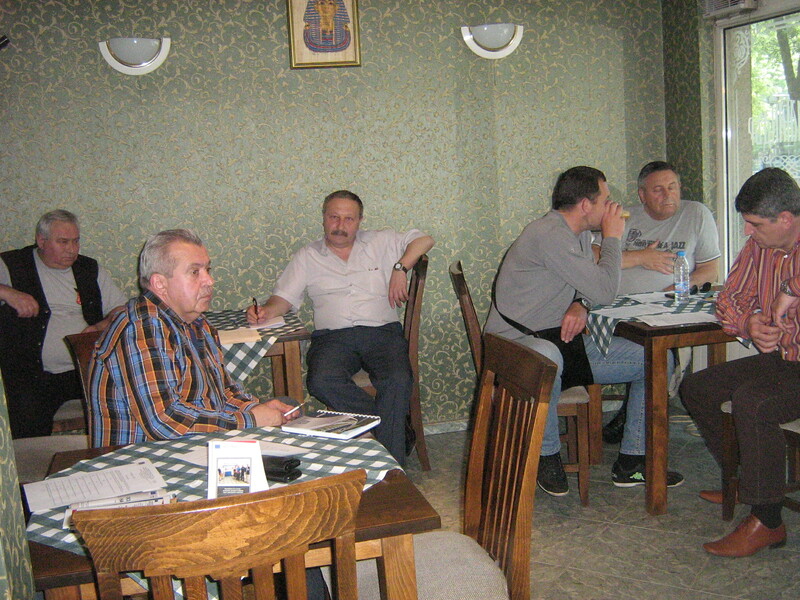 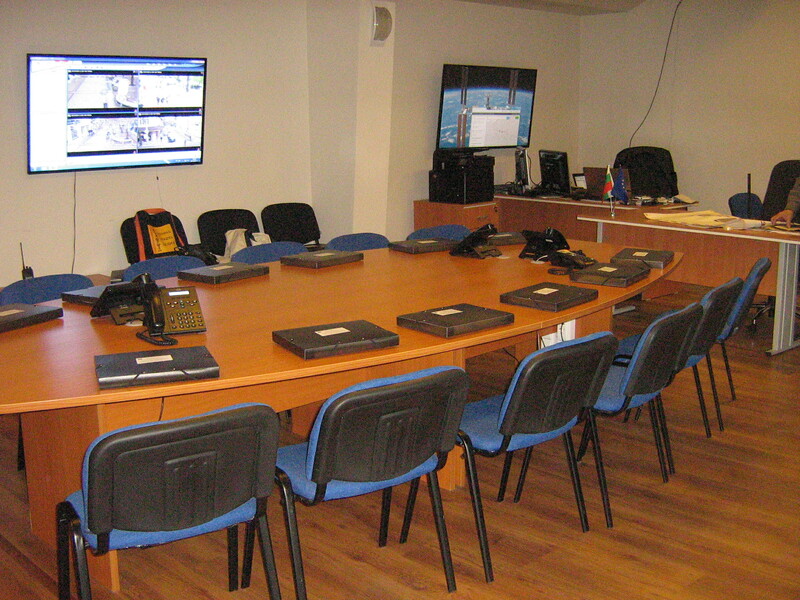 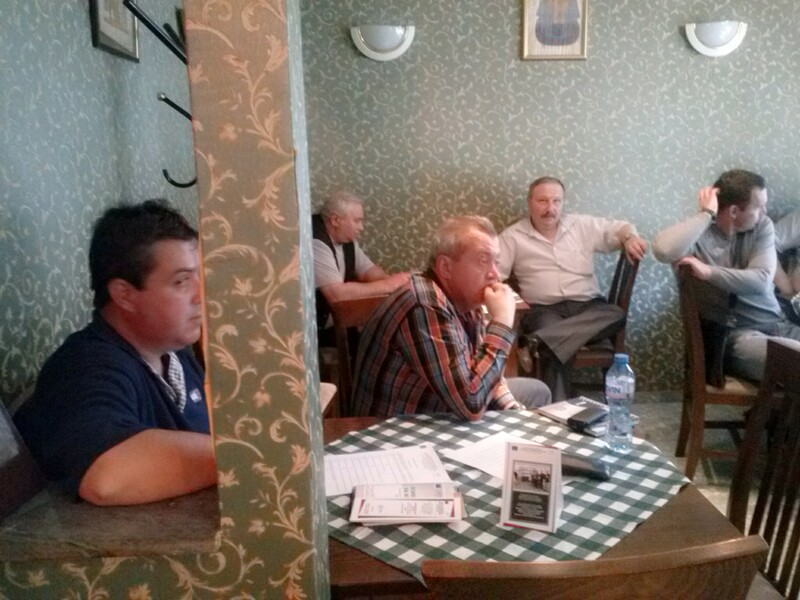 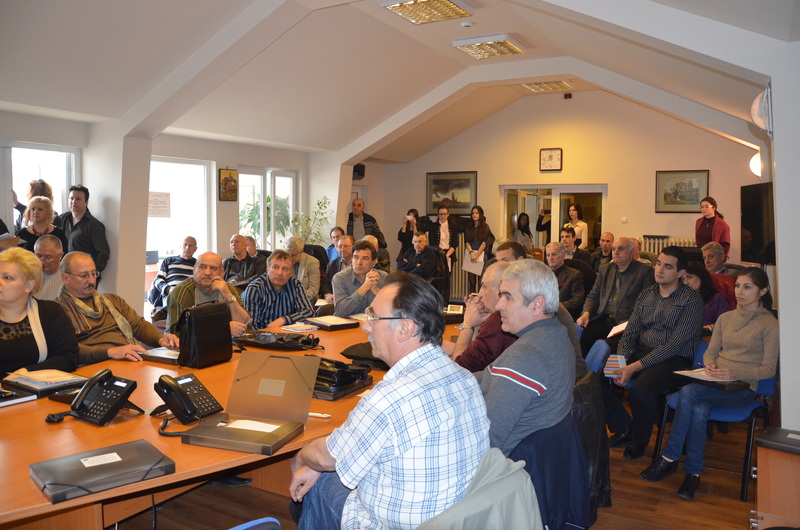 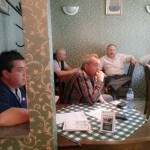 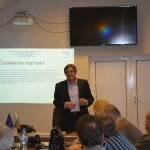 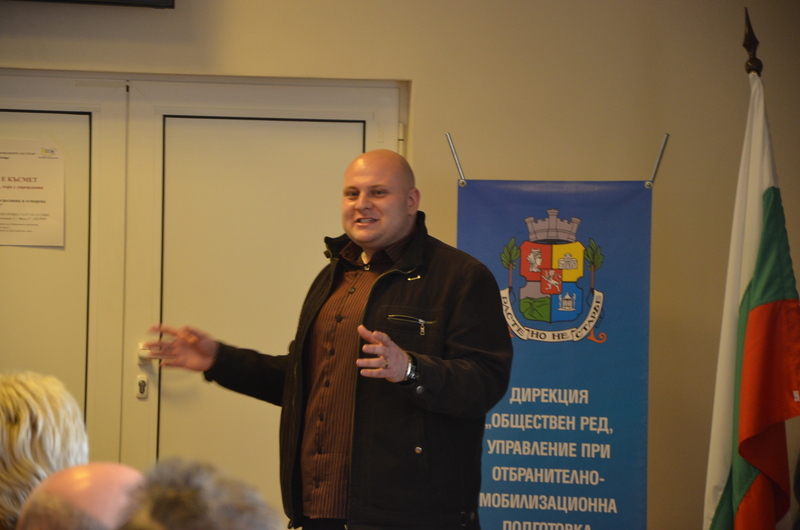 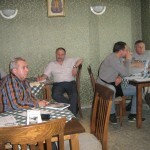 The training was conducted among employees of the security company “Salamandar-DAS” for three training days. 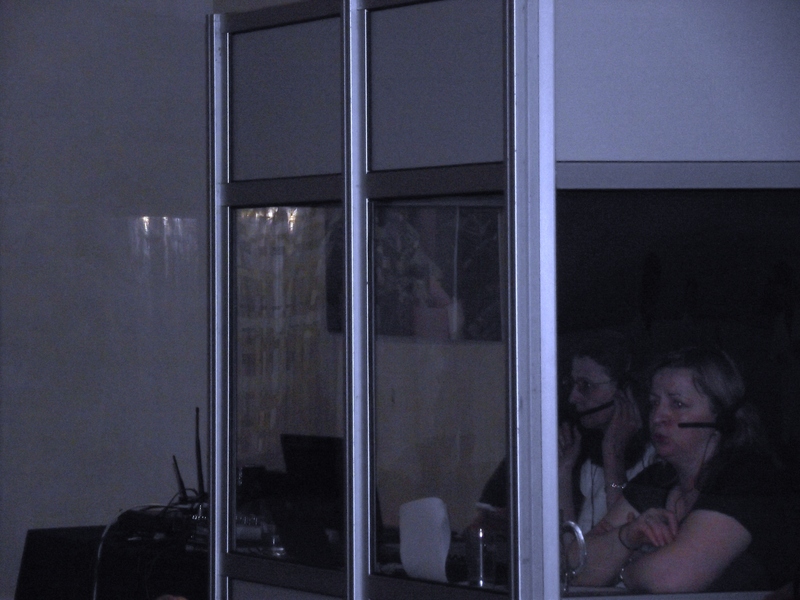 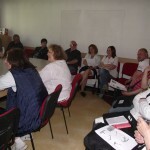 The training consists theoretical lectures conducted as discussions and practical exercises which include simulations, role plays, exercises and interactive methods for education and training. 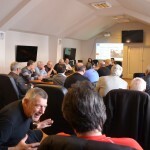 And from the other site by different simulations, role plays, excercises and interactive ways of training and practical exercise. 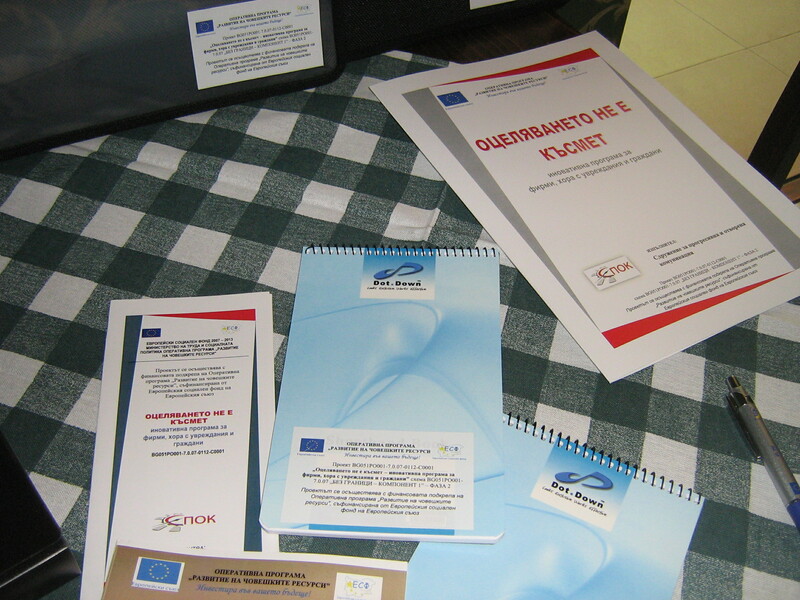 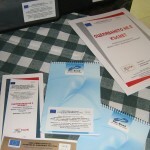 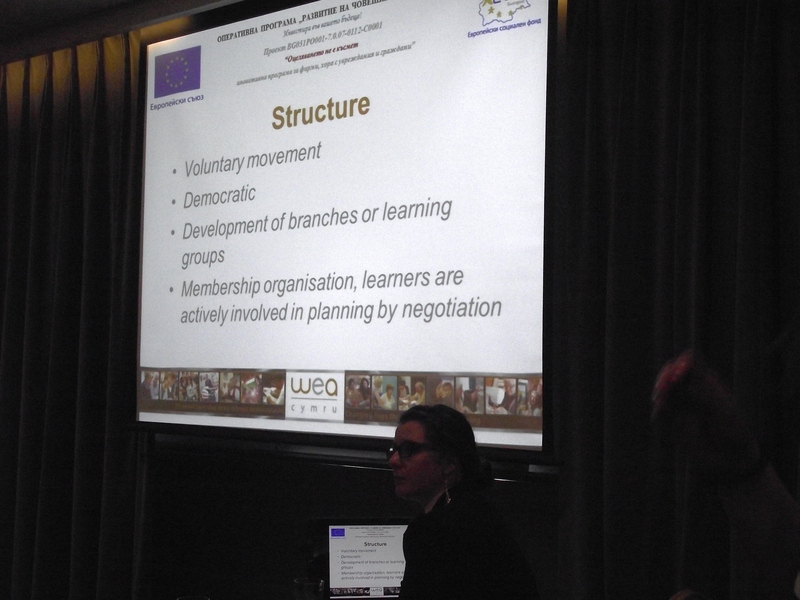 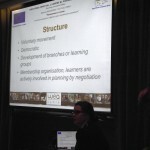 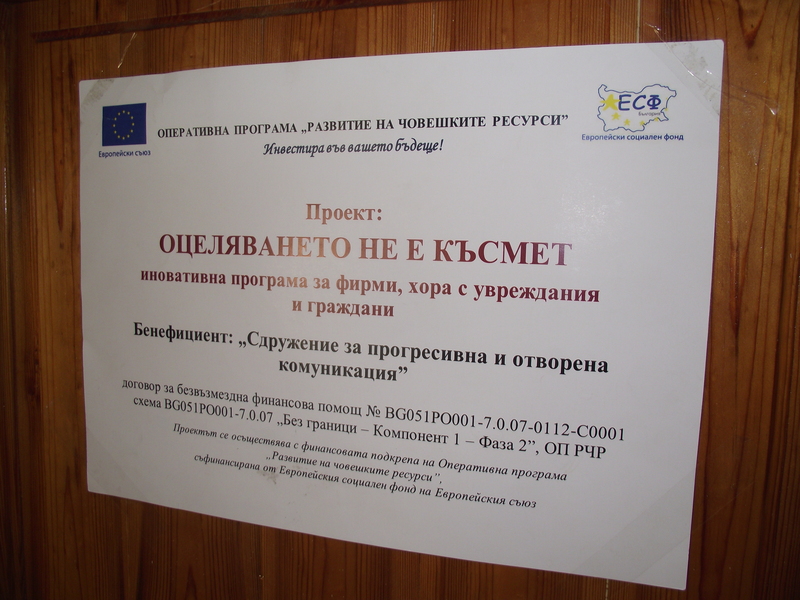 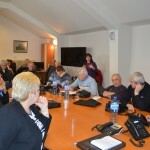 General objectives of the project is: exchange of good practices and transnational cooperation for developing and implementing an innovative program for introducing strategies and easier adaptation of the employees to the changes; developing new skills for new workplaces and more competitive employees and employment ; keeping elderly people longer on the labor market; ensuring a dignified and independent life of the people with disabilities. 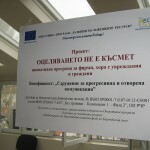 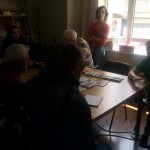 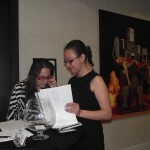 Adaptation of the module program for people with disabilities. 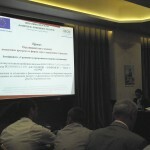 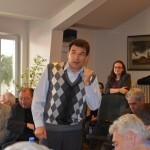 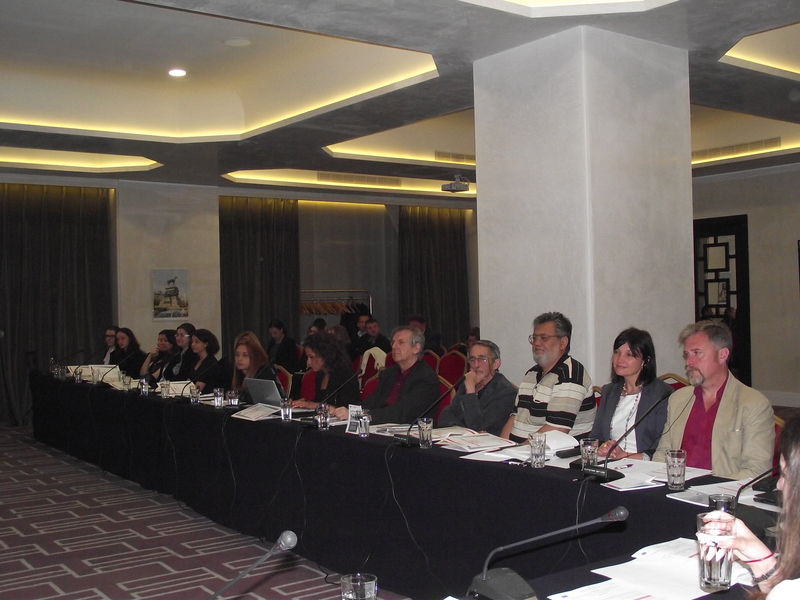 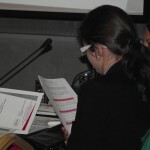 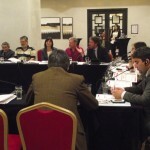 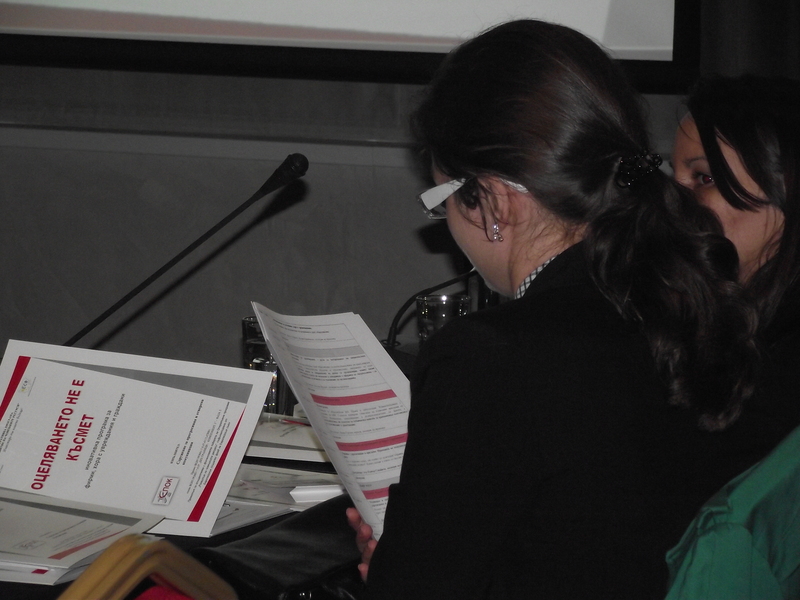 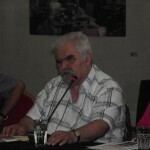 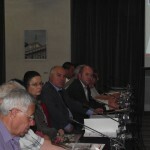 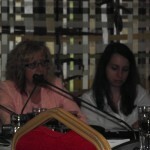 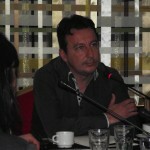 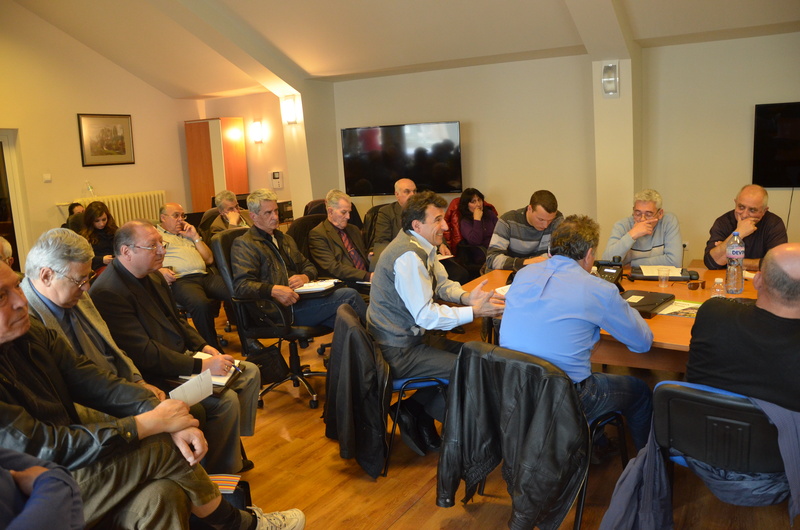 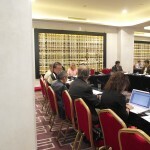 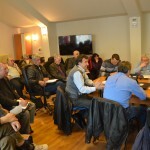 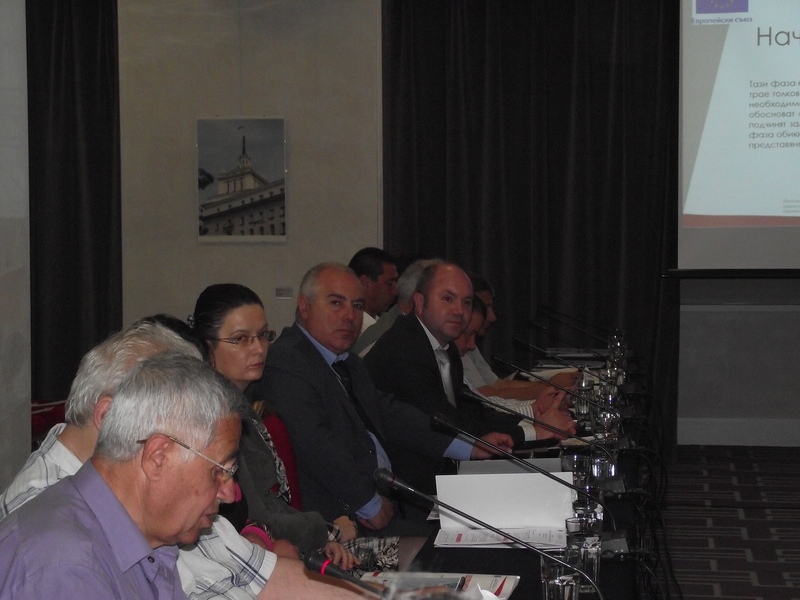 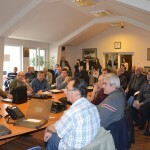 Conduct conference “Innovations in the prevention of natural and social disasters”. 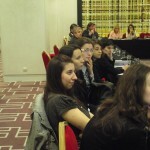 Specialists human resources and managers. 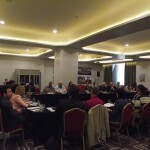 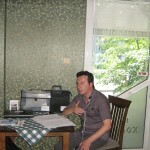 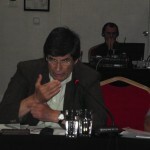 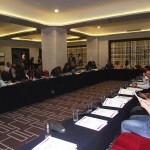 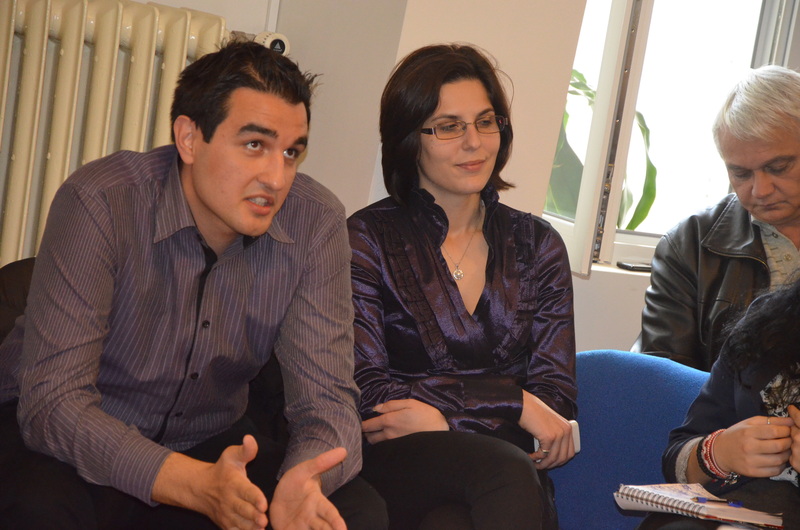 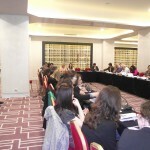 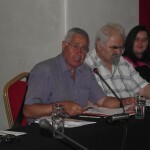 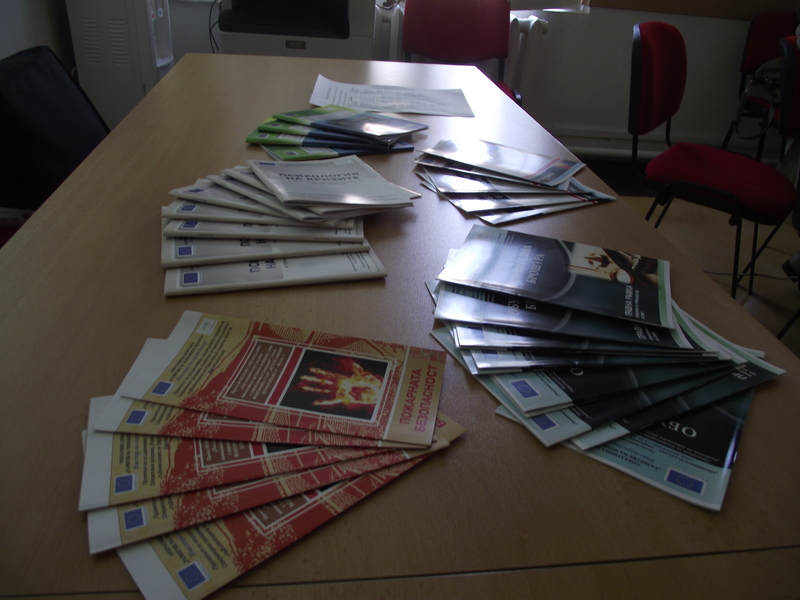 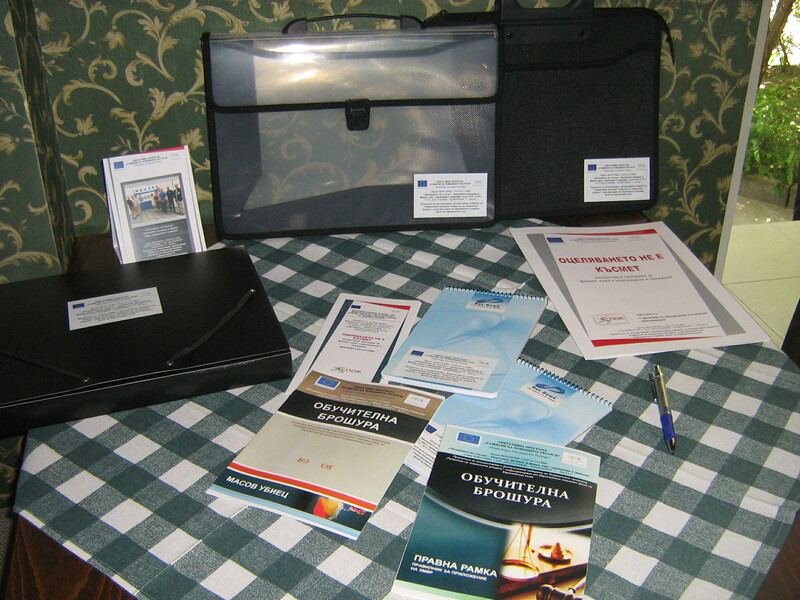 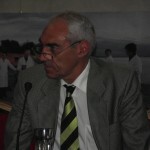 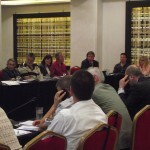 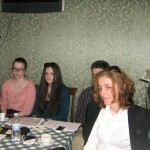 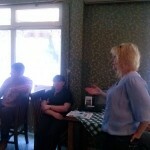 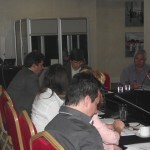 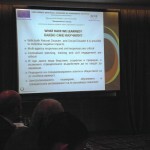 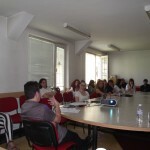 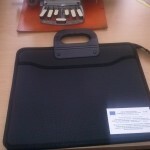 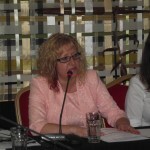 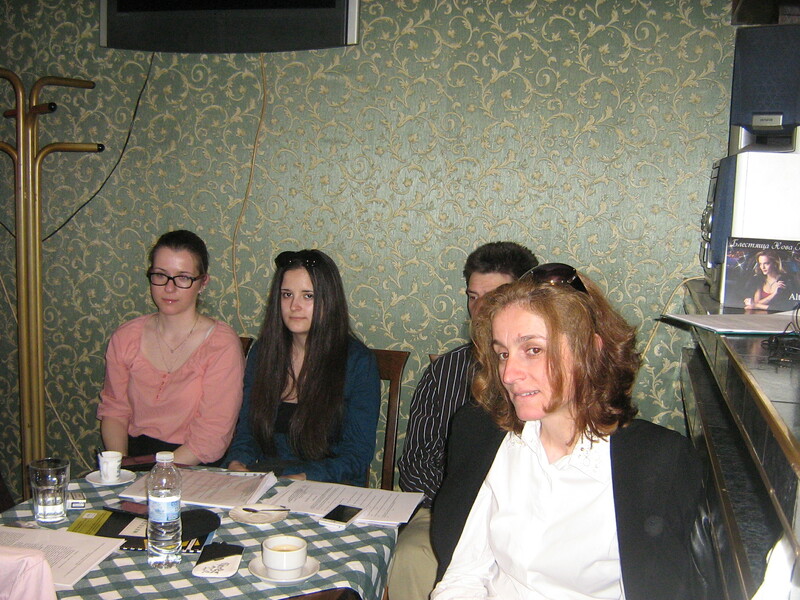 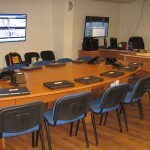 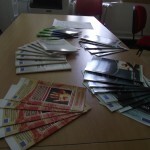 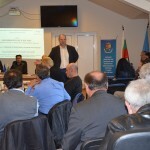 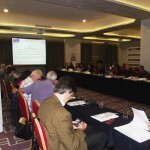 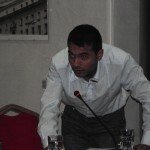 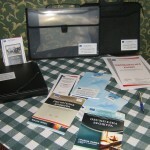 Institutions, organizations, stakeholders, companies and organizations in Bulgaria and in the UK. 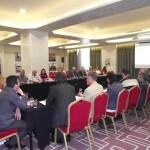 The partner of Association SPOC in this project is the UK organization Sazani Associates based in Wales and implementing its activities in Great Britain and worldwide. 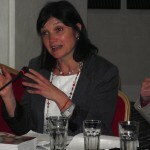 Sazani Associates works with a lot of experts and professionals in different fields (http://www.sazaniassociates.org.uk/about-us/who-we-are/) – social planning, development and management, child care and children’s rights protection, environment, policy and globalization, education and development of different education and training programs, conflict management and community recovery both in urban and rural regions; training for employees in support of educational projects in Great Britain and broadening the global educational community; socio-economic development; volunteering; gender equality. 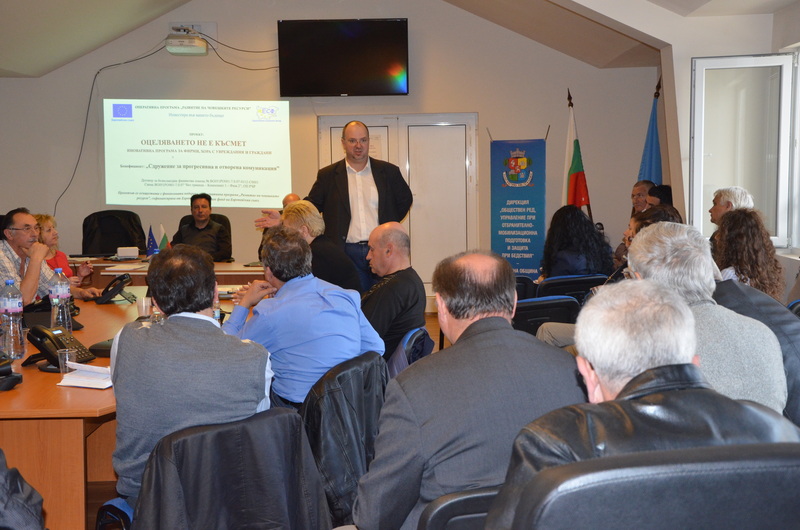 The international experience has proved that the prevention in the most effective way of counteraction to crime, aggression, terrorism, reducing the risk, surviving during natural disasters and cataclysms. 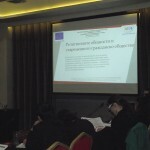 The prevention can be only a complex activity, implemented by the central public authority , bodies of the local authority and the private sector, academic institutions and experts and the NGOs. 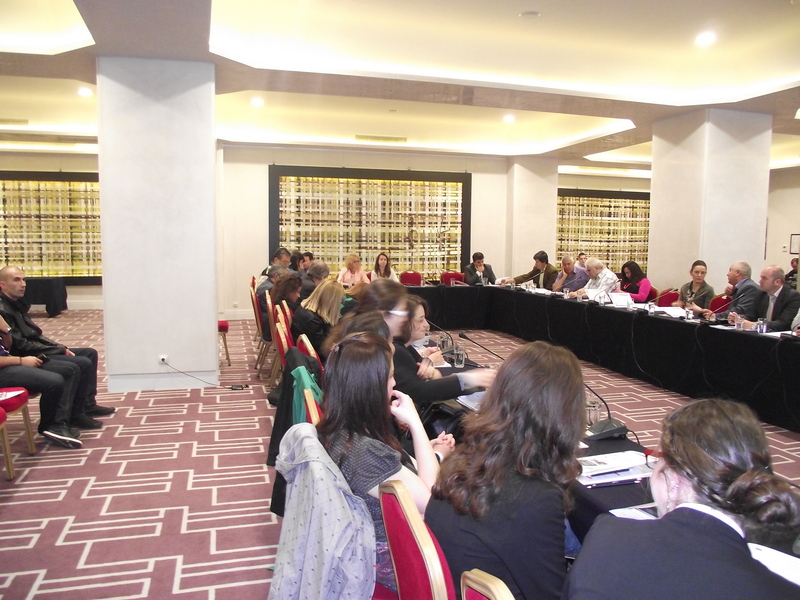 The NGO sector is an important part of the institutional system of the prevention. 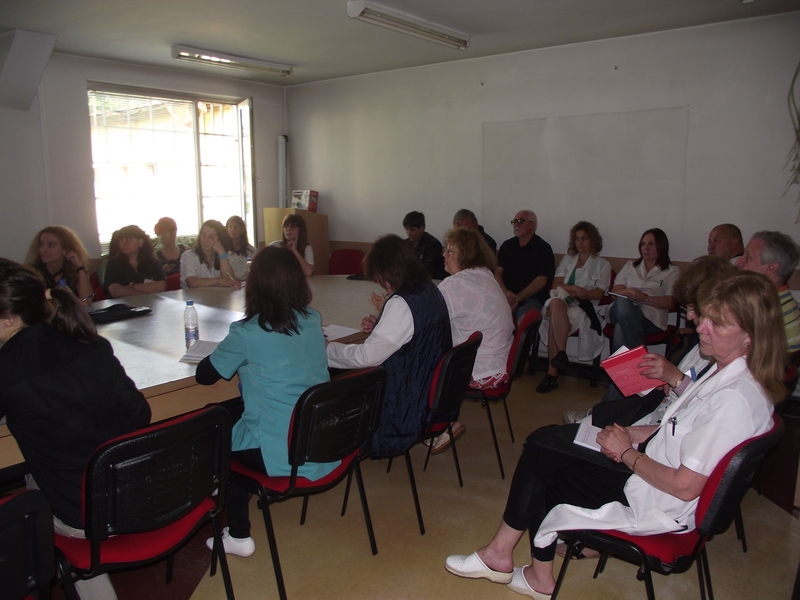 The cooperation with civic associations occurs throughout the implementation of joint projects, plans and programs in the field of prevention, using the expert potential of the organizations and promoting the benefits of preventive activities and implementing additional upgrading trainings for the community. 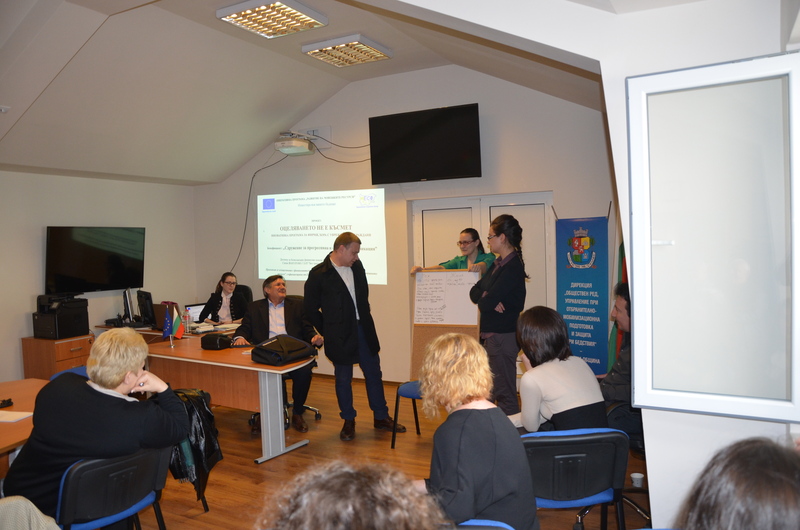 The project responds to these needs of additional trainings and qualification throughout its activities related to developing a strategy, preparation of a module training program for employees in certain companies through the adapted for people with disabilities preventive system.